I was almost sure that I had missed the bus on picking this figure up. It is almost a rare occurrence to see Marvel Universe figures on the pegs these days. But what do you know? I stopped into my local Toys R Us on my lunch break this past Thursday, and not only did they have a decent selection of figures I was interested in(Gray Hulk, Rhino, Colossus), but they had 2 of these guys! 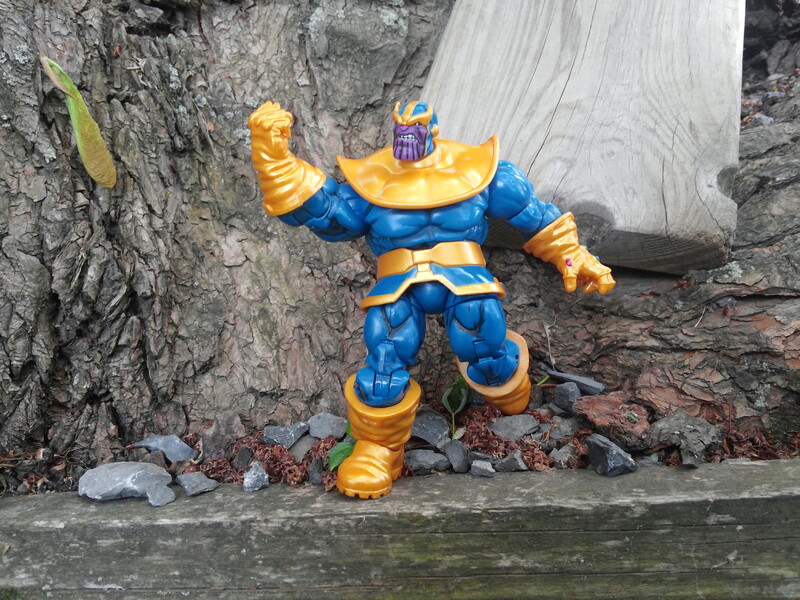 The first one had horrible paint apps on the Infinity Gauntlet(this one has much better apps). 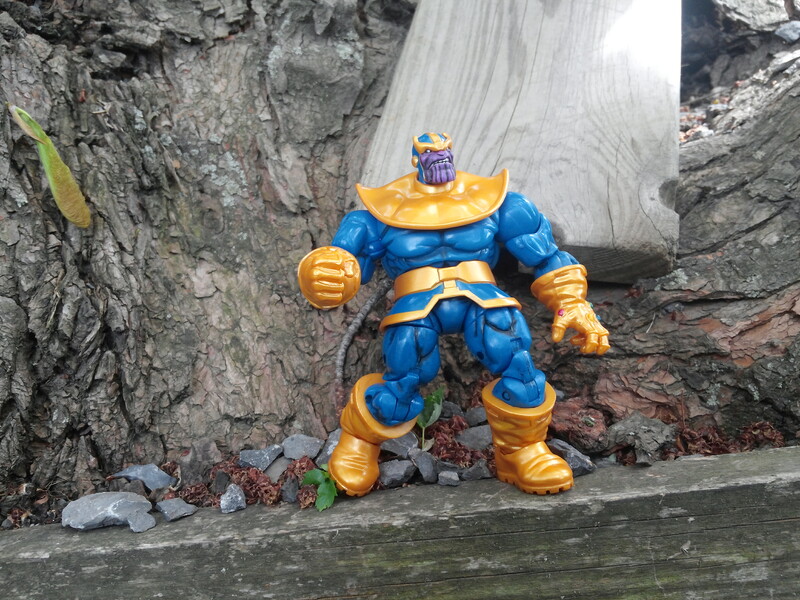 Thanos has long been my #2 favorite villain(Apocalypse is #1), ever since my early days of comic collecting. We’re talking well over 20 years! I was pretty excited when I first heard Marvel characters were getting the 3 3/4 treatment, as Marvel has a long list of characters that needed to have a decent action figure counterpart. 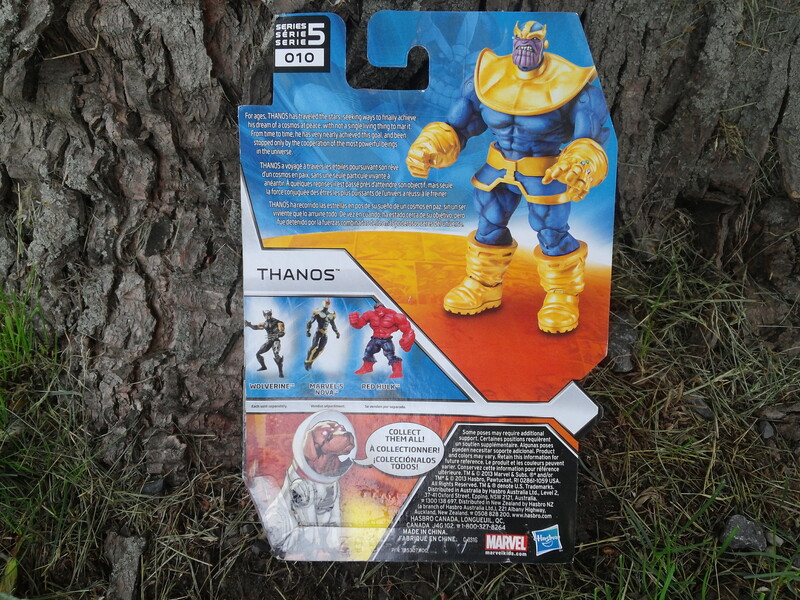 But I figured I’d only end up getting old Thanos here, on the secondary market at an inflated price. 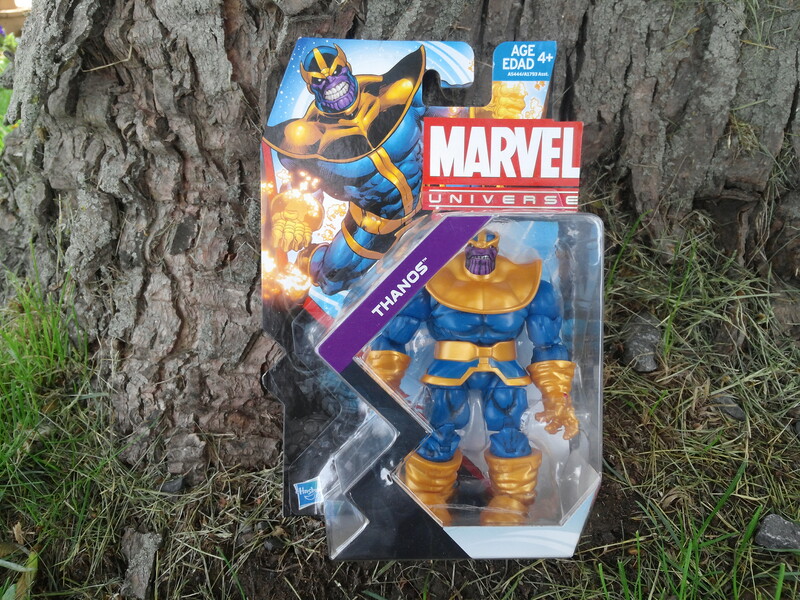 So a fateful trip to TRU on my lunch break landed me a figure that I needed for my collection. The paint looks pretty good, and the likeness is great as well. That’s the one thing I like about these bulky characters…it feels like your getting your money’s worth when you plop down $10(TRU prices), for a single figure. He has a pretty good range of motion, and his weight is pretty well-proportioned, so he’s not top heavy. The joints on this one aren’t loose, nor are they too hard to pose. 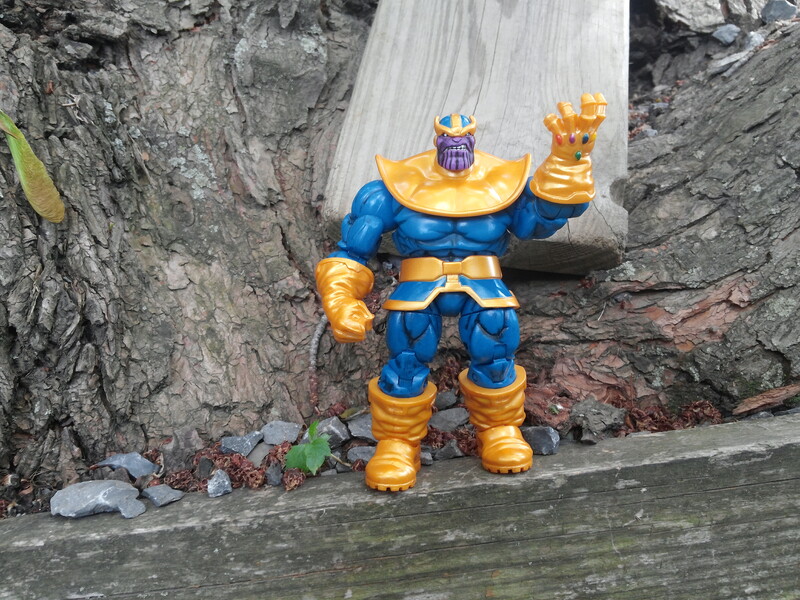 Even though the Infinity Gauntlet was a story from over 20 years ago, it is still to this day, associated with Thanos. 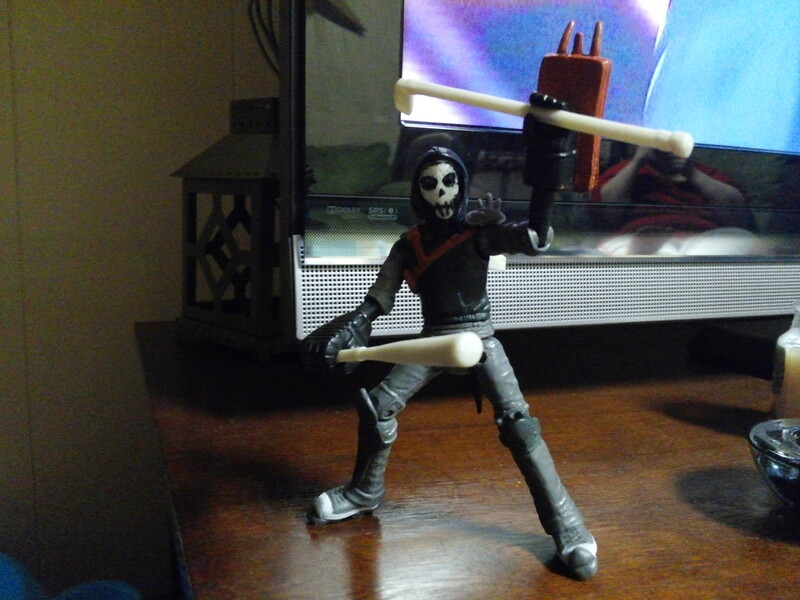 And that is pretty sweet, as it just makes this figure that much more awesome. 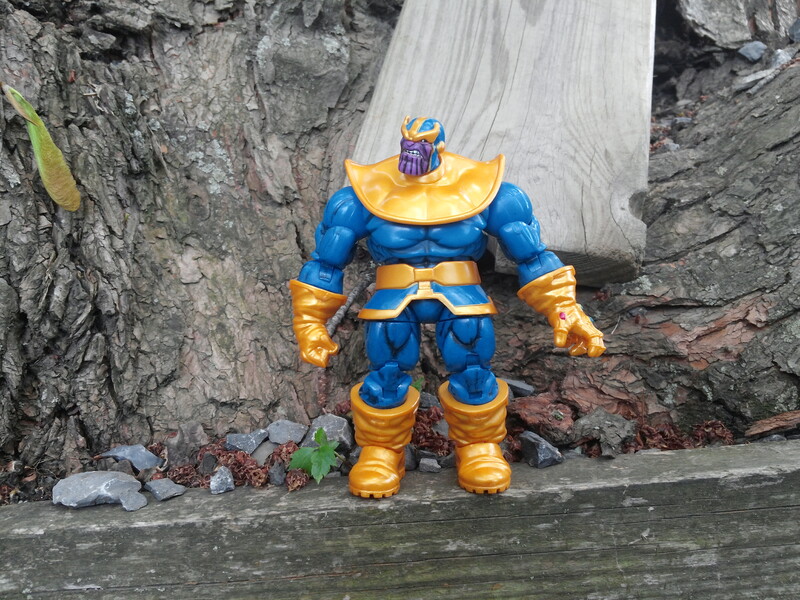 I will need to get a few shot’s Thanos and Apocalypse together, which will be a showcase of awesomeness! If you see this figure in your travels, I would highly recommend that you consider picking him up. Now that the warm weather seems like it’s here to stay for the most part, yard sale season is finally upon us. Under normal circumstances, I wouldn’t have been able to hit the sales yesterday, as I usually work Saturdays for my current schedule. But, I have additional training this week, and my job needed me to come in on Tuesday, which is one of my days off. So, being that I have to go in on my day off, I got to have yesterday off instead. That ended up working well, since there were quite a few sales, and the rain decided to hold off. And now, on to the goods! 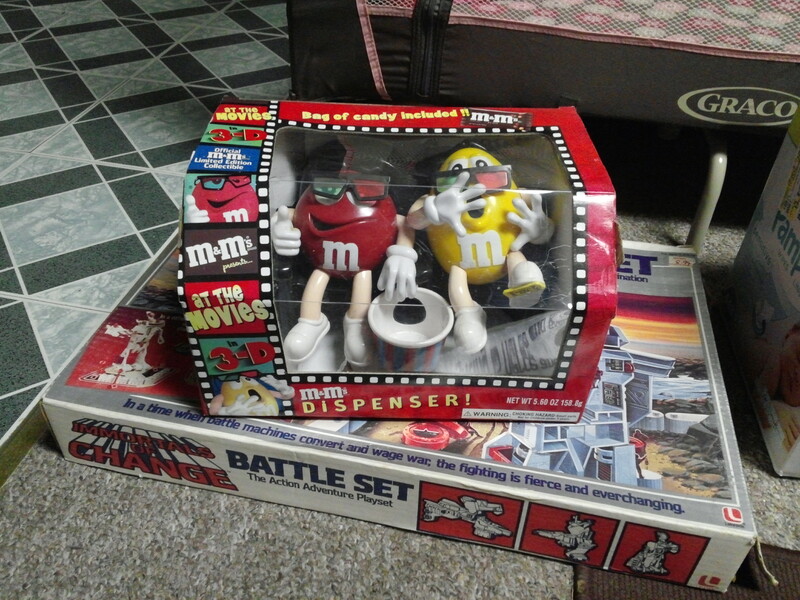 This is a cool M&M’s piece, and if it had not been free, I would not have given it a second glance. But the key word here is “free”. I dig Red and Yellow, and I’ve always thought old-school 3-D glasses were cool looking. They’re not the typical red/blue, rather being red/green, but that is something I can forgive. The box was pretty dirty, but as you can see, it cleaned up quite nicely! When I saw this, I had absolutely no idea what it was. 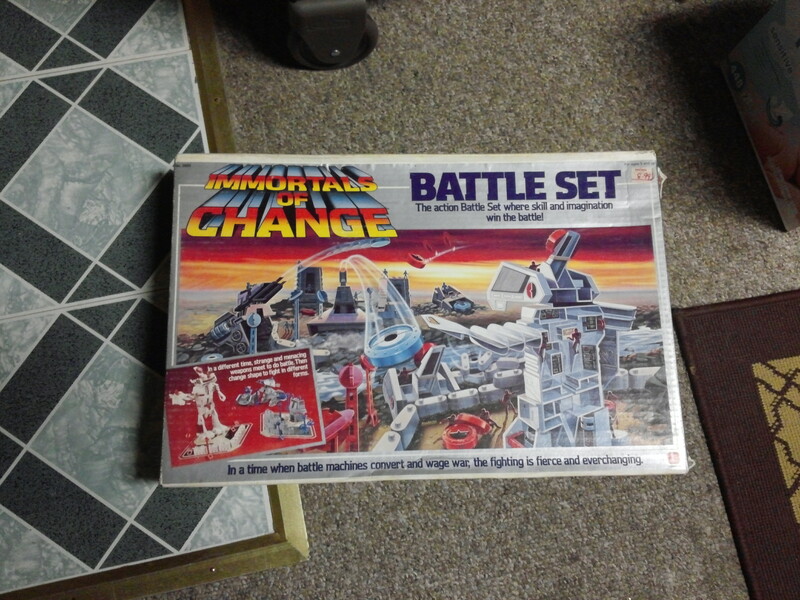 But it’s from 1985, and the box art is fantastic! And there was no way I could pass this up for 75 cents! I don’t know if it’s complete, and being that it’s going directly into storage, it’ll probably be some time before I can come to that conclusion. 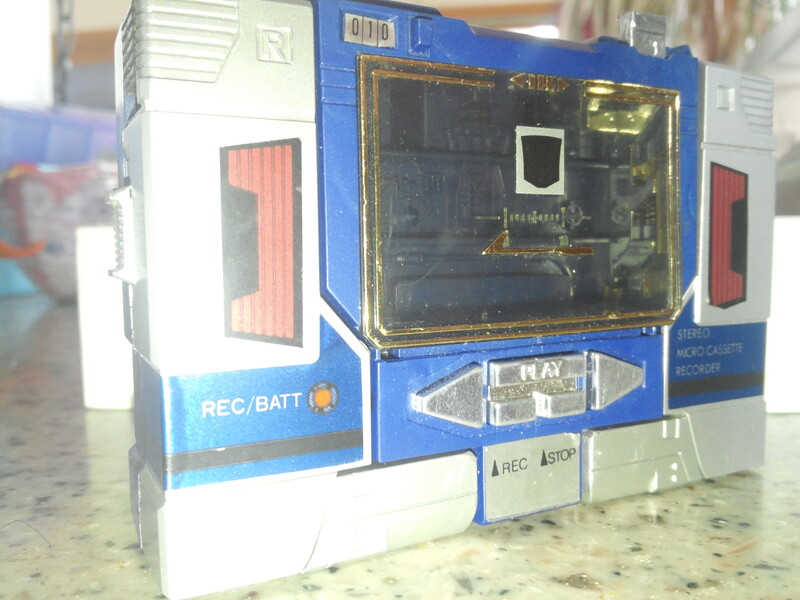 In the event that it is missing pieces, I’ll still have a very 80’s box to display. And having the Kay-Bee price tag, with Kay-Bee’s trademark markdown jusst adds to the awesomeness! 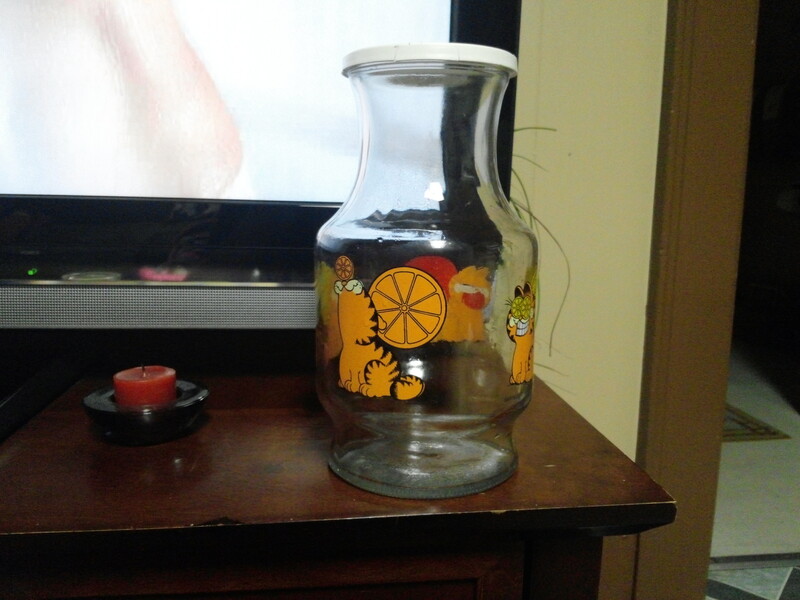 Anyone who has followed me through the years knows that I am a Garfield fan, especially in the glassware arena. Typically, I’ll come across McDonald’s glasses, but this juice container is so much cooler. The plastic lid had a few tears on the sides, but the container is in great shape. 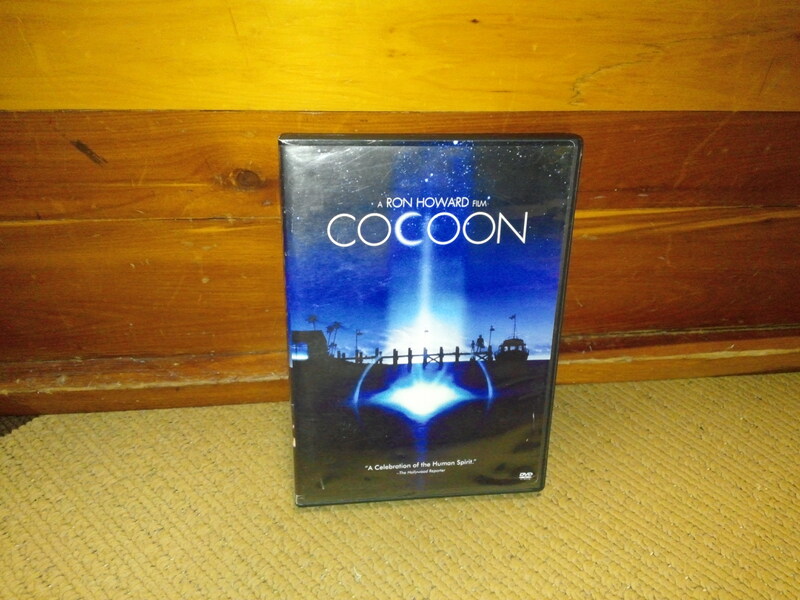 I can’t believe that this only cost me 50 cents! 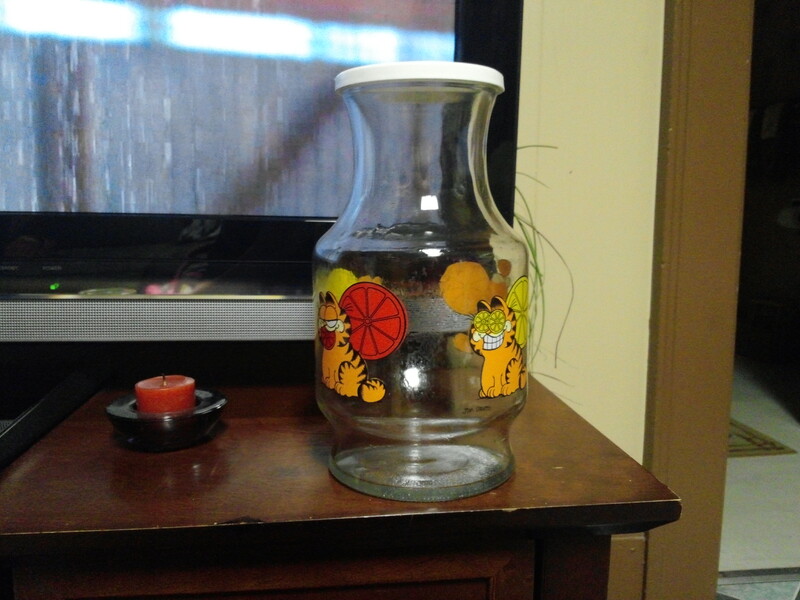 I will have to make sure that I have some lemonade out of this container this summer. I would love to get one of the new generation Furby’s, but I really don’t see myself paying upwards of $50 for one. 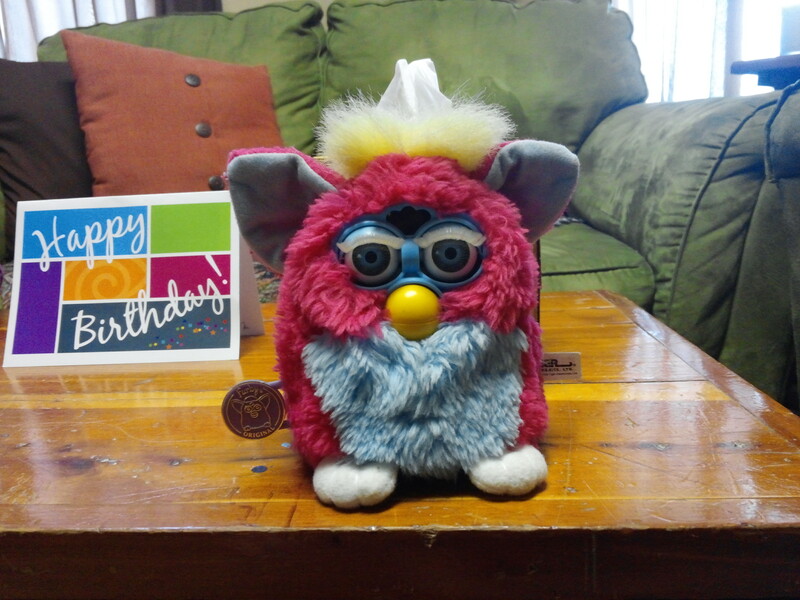 This first generation one is the one that I will always associate the name “Furby”, with. The lady selling it wanted $2 for it, but I asked if she would do $1 for it, since I didn’t know if it worked. She said that she didn’t know if it worked either, and that $1 was fair. I will make it a point to test it out before this weekend is over. I didn’t realize until I got home, that this book has a torn page, and a handful of pages with small blotches/stains on them. 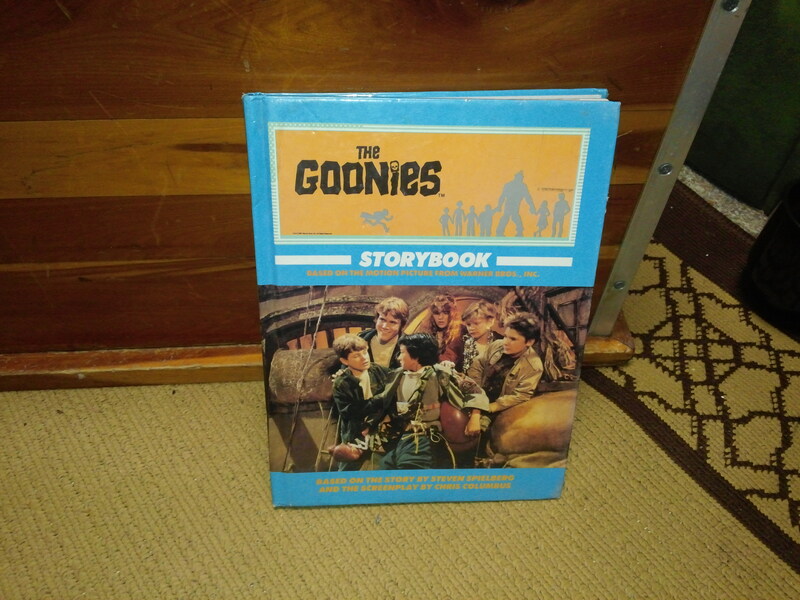 But it’s a book about the Goonies that I have never seen before, and the seller only wanted $1 for it. I flipped through it today, and it’s basically the movie in book form. Although there seems to be some shots from the movie taken at different angles. To me, the cover alone is worth more than the $1 I paid for it. 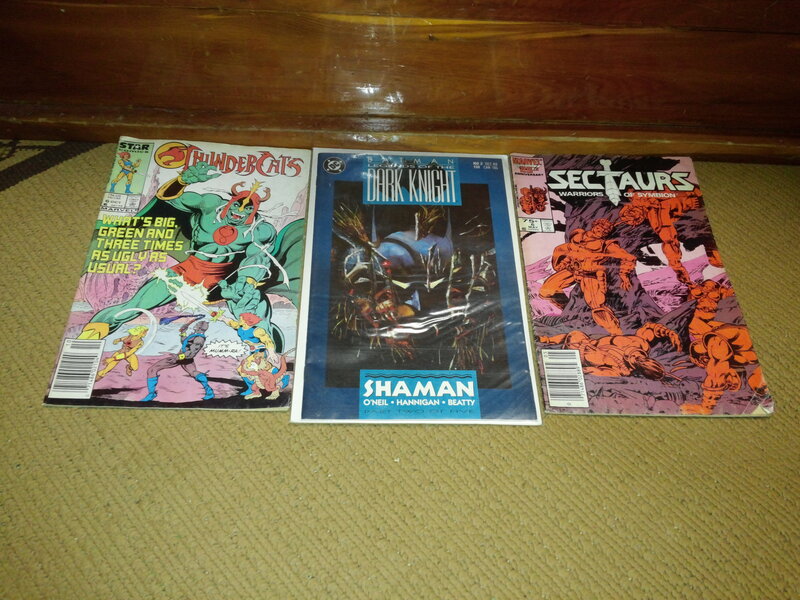 We came about one sale that had more than a dozen long boxes filled with comics all for $1 each. I didn’t have all day to sift through the boxes(which I totally would’ve, by the way), so I only came away with the gem you see above. 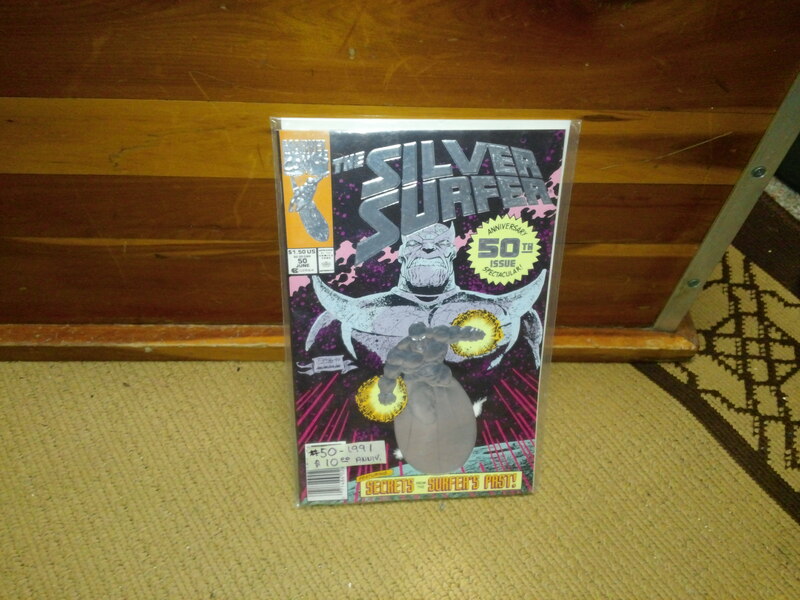 The nineties were littered with gimmick covers, but the silver foil totally fit Silver Surfer’s 50th issue. I’m not sure of the value of it on today’s market, but I don’t think it’s the $10 tag you see at the bottom. I almost walked away with a Punisher War Journal #1, but it had water damage, and there was obvious black mold on the backside of the backing board. So, I had to take a pass on that one. 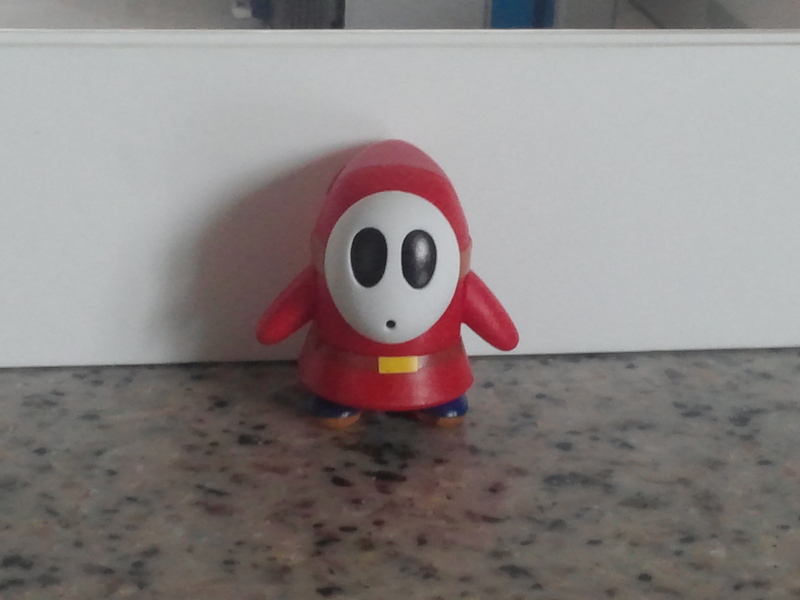 This Mario Kart figure was actually my first find of the day. I don’t have any additional info on it at the moment, but at 25 cents it was an easy purchase. 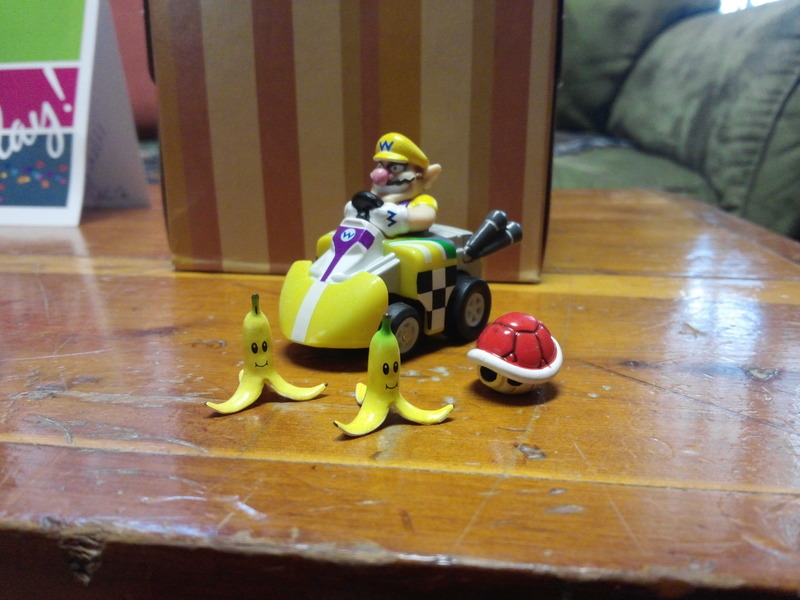 This Wario from Mario Kart is a quite a bit different than the one that preceded it. 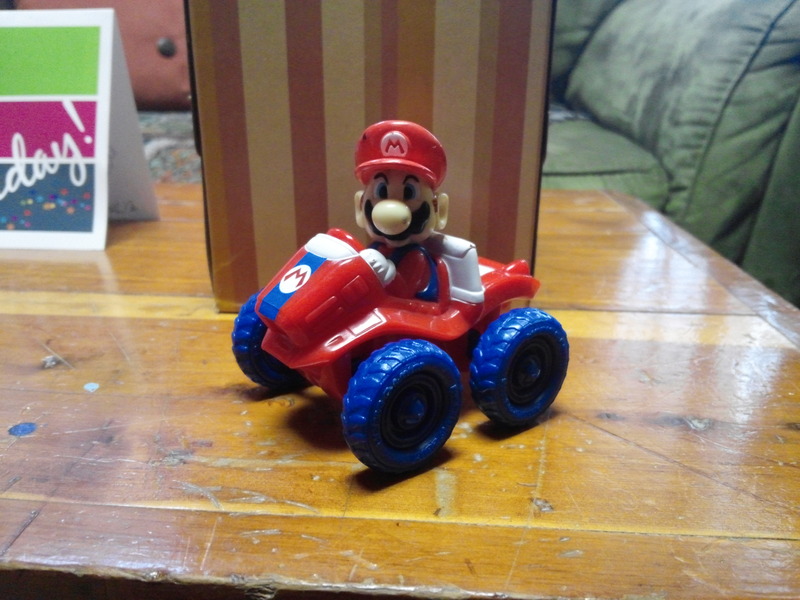 This one is actually motorized, the front wheels turn, and it came with a few power-ups from the games. 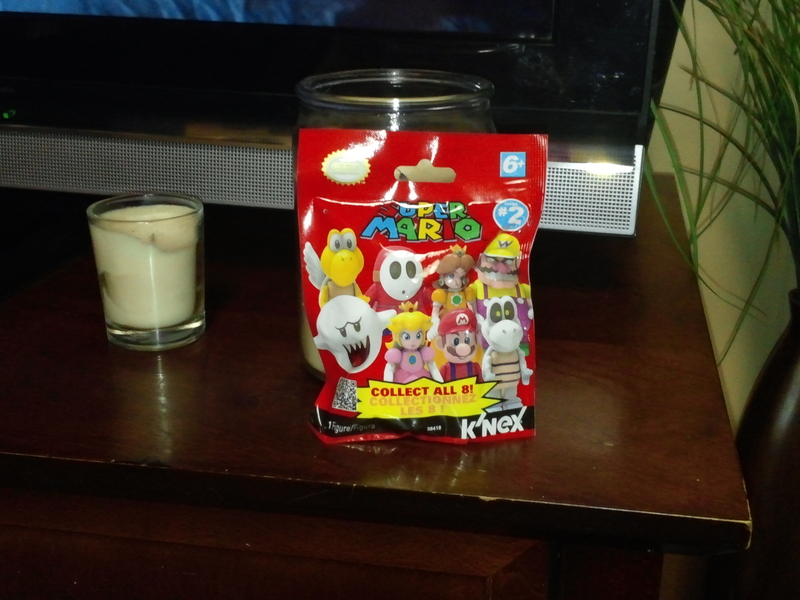 I’m not sure how it works, or if it’s even complete, but it’s Nintendo related, and it only ran me 50 cents. And I actually came across it completely by accident. I was looking at a wooden toy chest, and decided to open it up to inspect the condition of the inside. I opened it and noticed what you see above, among a handful of other toys. I asked if the toys inside were for sale, which they were, and made the deal shortly after. 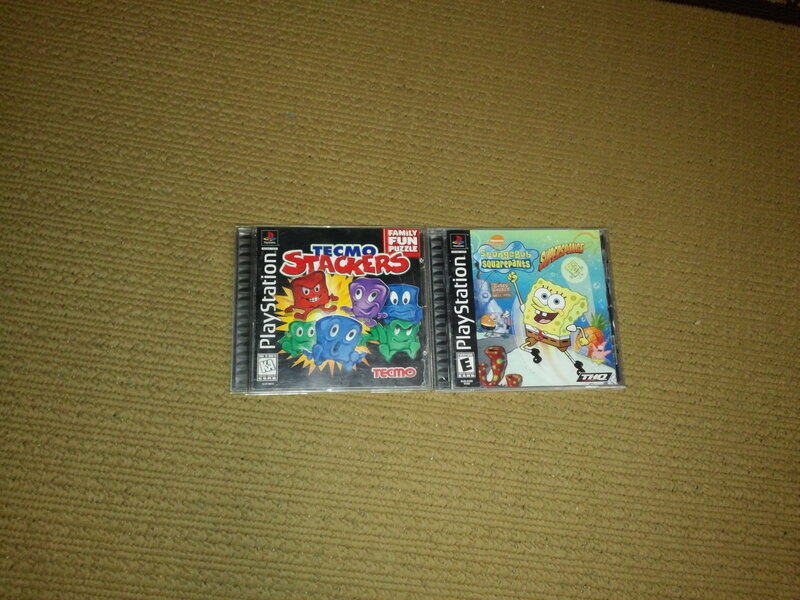 The 3 games above were got from 3 different sales, but only cost me $1 apiece. 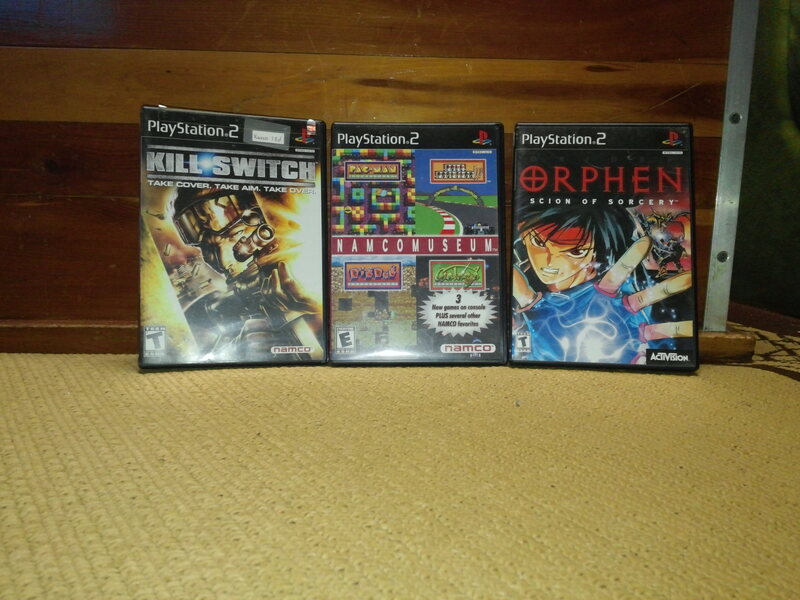 Kill Switch and Namco Museum are complete, and Orphen is missing it’s manual. Namco Museum is my favorite of the lot, as I am a huge fan of old-school gaming. 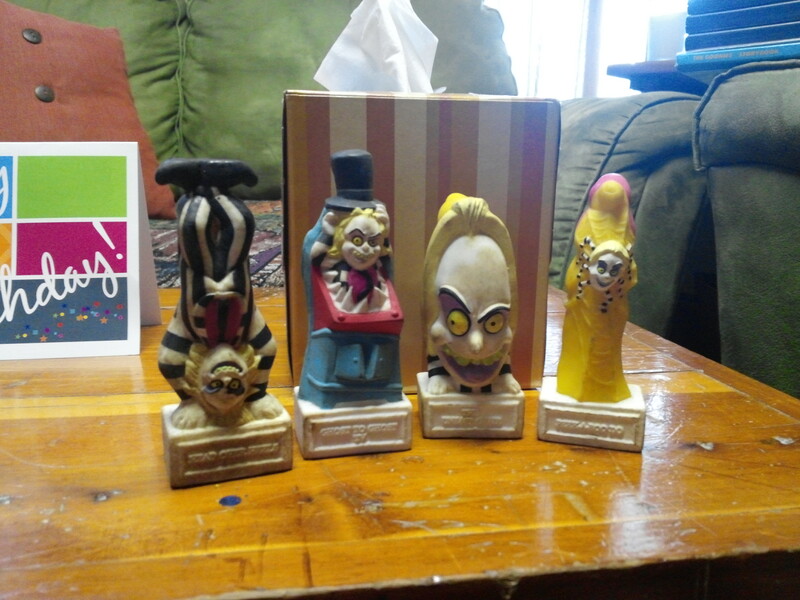 And lastly, I found these Burger King Beetlejuice toys for 25 cents each. A short time before I found these, another seller wanted $3 for each of the ones he had. Out of the 4 above, I am positive that I need 2 of them towards my set. I know that I already have 2 of the second one from the left, but not sure if I have the first one on the left. Either way, this is a set I should be close to completing, and I’m happy with the prices I paid for them. They need a little cleaning, and they’ll look pretty good. If anyone else is collecting these, remember that the Jaques one is available for sale/trade. 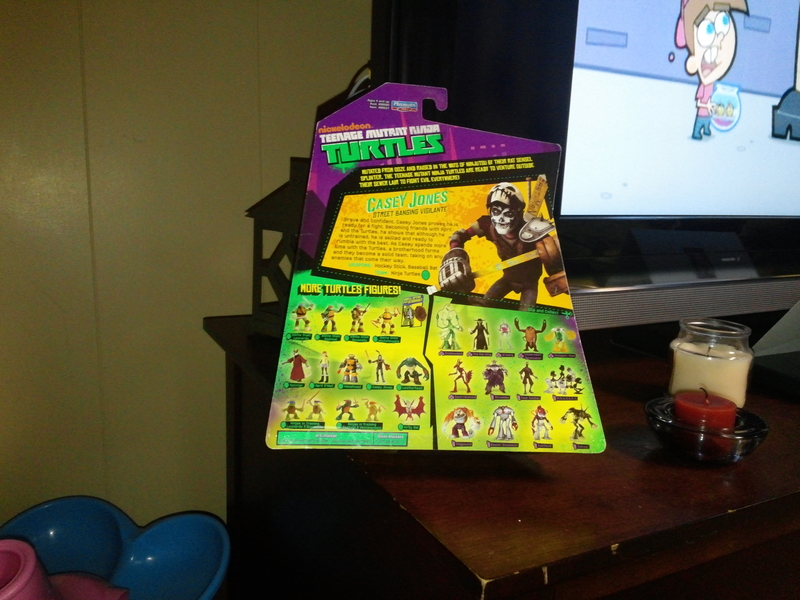 This is one of 4 TMNT figure I have purchased from the new series that I had yet to open. 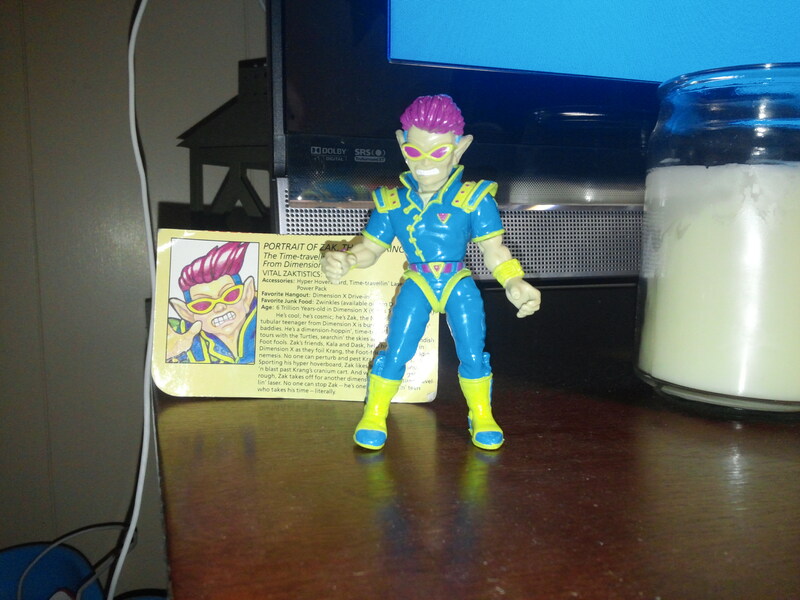 I finally broke down, and was able to open him up a few nights ago. I was pretty excited when I saw this figure hit the pegs, and snagged one the second time I saw one(didn’t have the dough the first time around). A lot of differences from the Casey from the old series, but I really like the updated look. At first I was unsure if I liked it, but after seeing him in recent episodes, he has become one of my favorite characters, besides the Turtles themselves. And on the back, you can get a view of how he looks on the show. The face paint definitely makes the character, I don’t know, a little more dark? In the show, Casey is a high school hockey player, which may also play a part in why I like the character somuch. 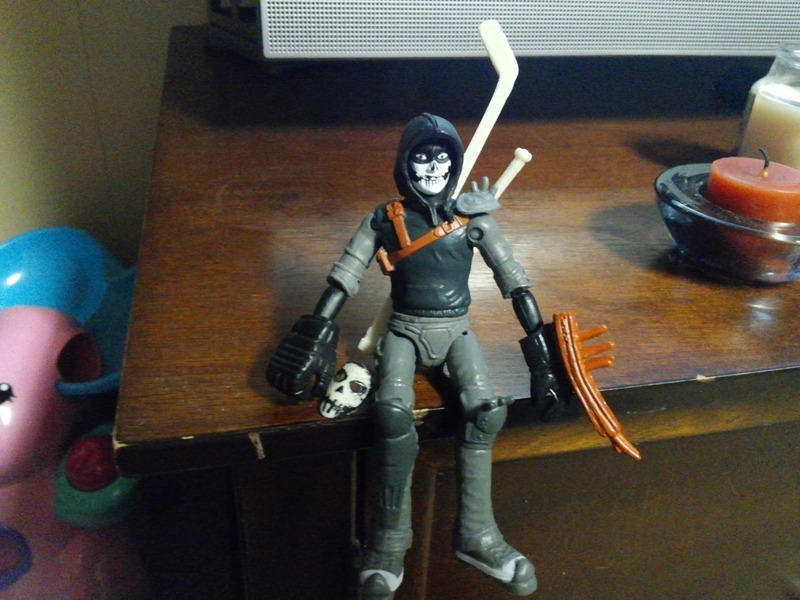 As you can see, he comes with a few accessories, including a removable mask. The goalie blocker is not removable, which is fine, since it not able to be lost this way. 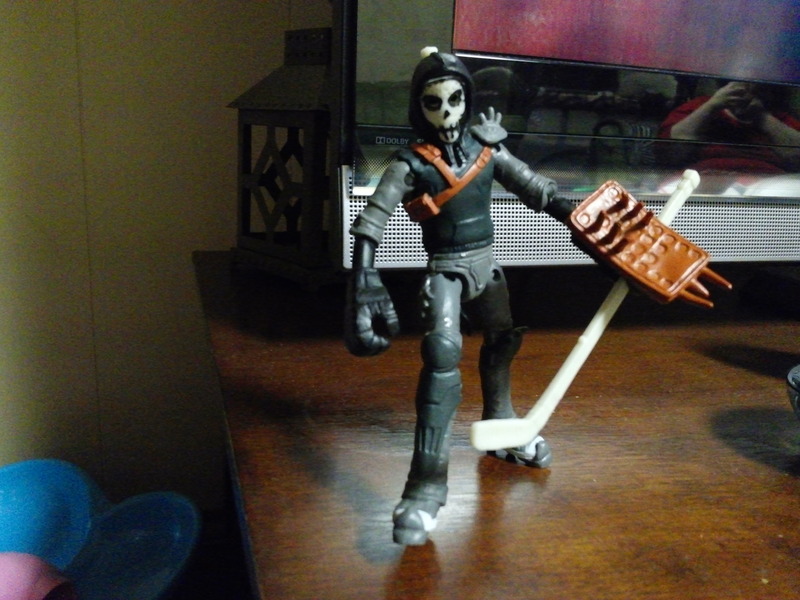 I only wish that he came with a goalie stick like he has in the show. Another cool thing about the character, is that in the show, there is a reference to the creators of the Turtles on Casey’s hockey gear(Laird on the blocker, and Eastman on the goalie stick). 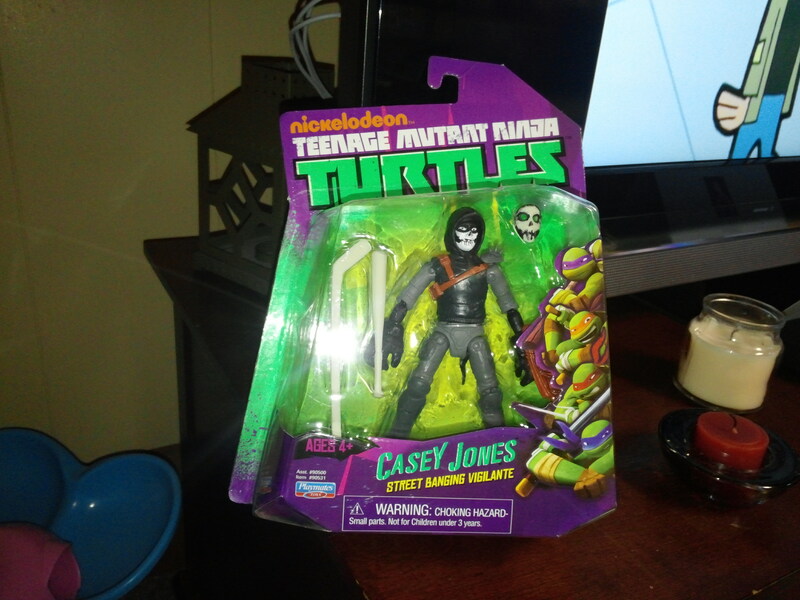 I’m happy that that they gave Casey a bit more articulation then the other non-Turtle figures of the first wave. 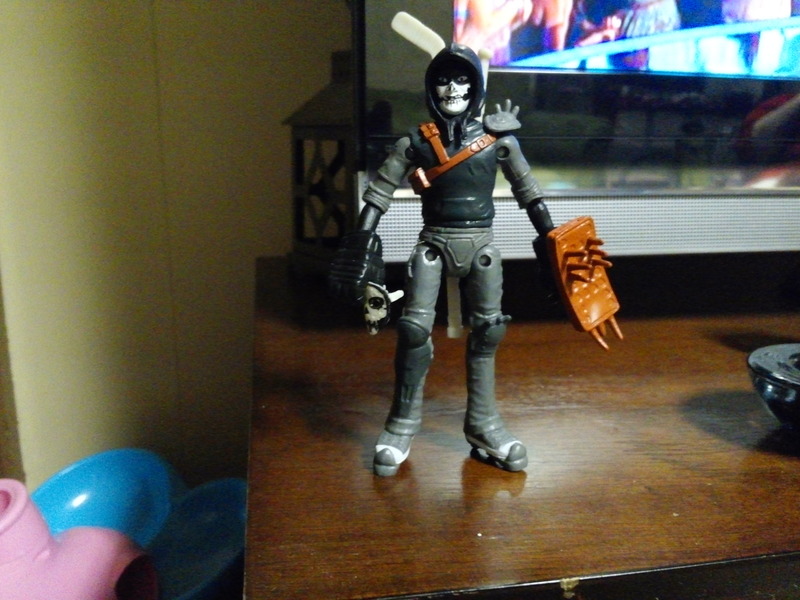 While not super-articulated, Casey can be posed nicely. Casey’s shoes also double as kind of like roller blades in the show, and that is reflected on the figure. While not movable, they are molded onto the feet. I give him a 9.9 out of 10! As the title states, this is a post about my haul from the annual toy show in my area. This was either the 4th or 5th year the show has been around, and I am happy to say that I have been there since the first one. Over the years, I have seen the show numbers grow, both in attendees, and vendors. There is a great upside to this, as well as the obvious downside. With more people attending, you need to get there early, and make quick decisions. If you want to think a bit before making a purchase, you’ll go back and find that someone else bought it. This being said, I made decisions on the fly, and came away pleased with my purchases. Above, you’ll see my first purchase of that day. 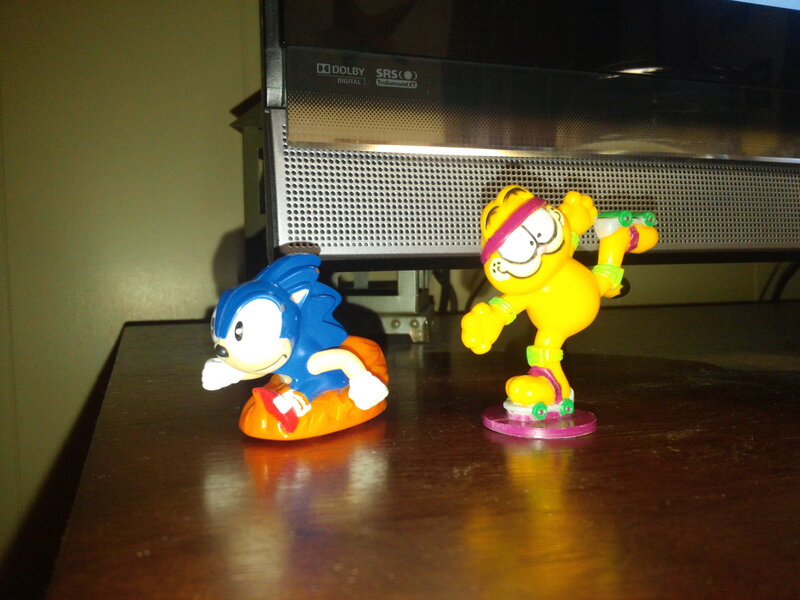 These guy’s were 50 cents each, and originally, I was only going to pick up Garfield, but, I saw Sonic in there, and figured that it was easier to fork over a buck, rather than waiting for 50 cents change. There was a lone videogame dealer at the show this year. 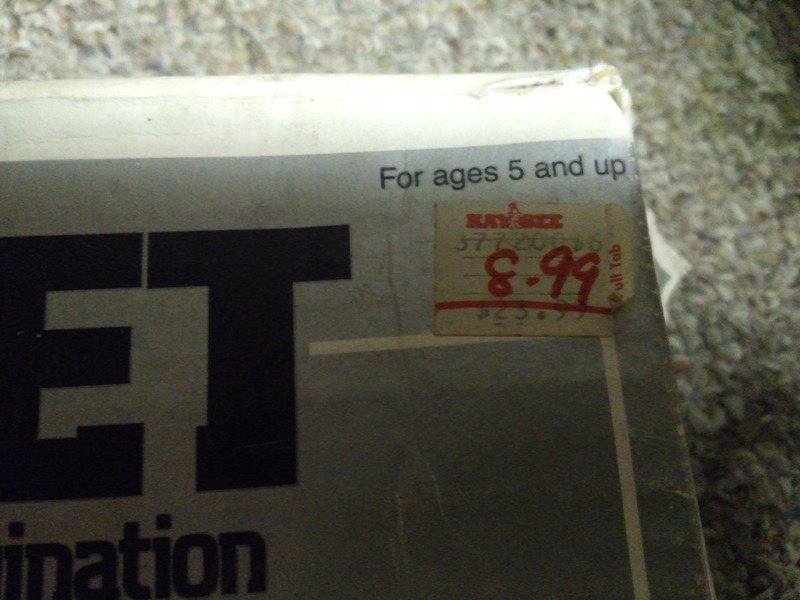 And while his selection was very good, the prices were on the high end for every game, except what you see above. 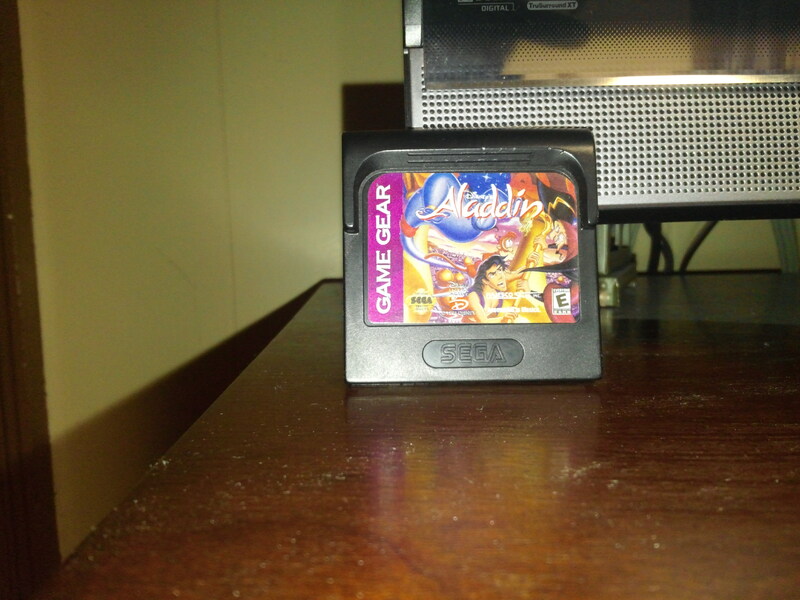 I have a Game Gear, but didn’t have any games to test it out with. At $1.00, this was worth the shot, and it’s a decent game to boot. The sad news is, is that the screen on the Game Gear works, but there’s a very bad clarity issue, and it hinders any game play. 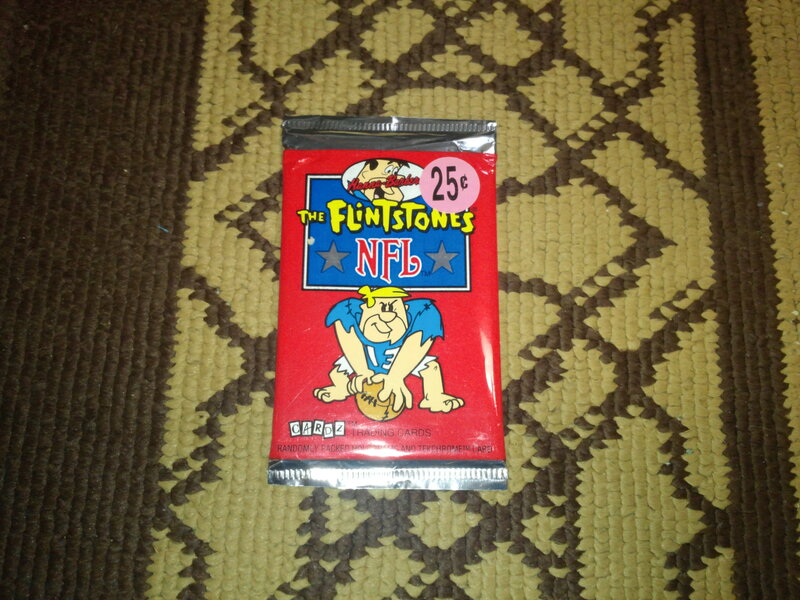 These Flintstones NFL trading cards, were weird enough, old enough and cheap enough to pique my interest, so they ended up coming home with me. ‘Nuff said. While this was a toy show, there are always the requisite comic dealers. I see a majority of them at the local Comic-Con, and they always temp me with their 50 cent boxes. The comics you see above and below, are from those tempting boxes. Condition isn’t a huge deal when it comes to inexpensive comics. Most of us who are into the hobby, started out because we liked reading them, which is the main reason I purchase comics these days. 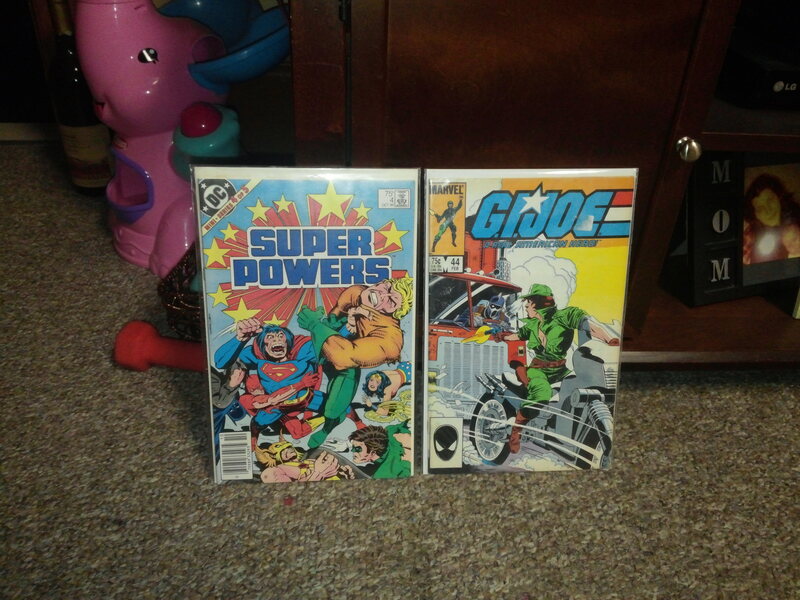 Not bad titles for $2.00 total. 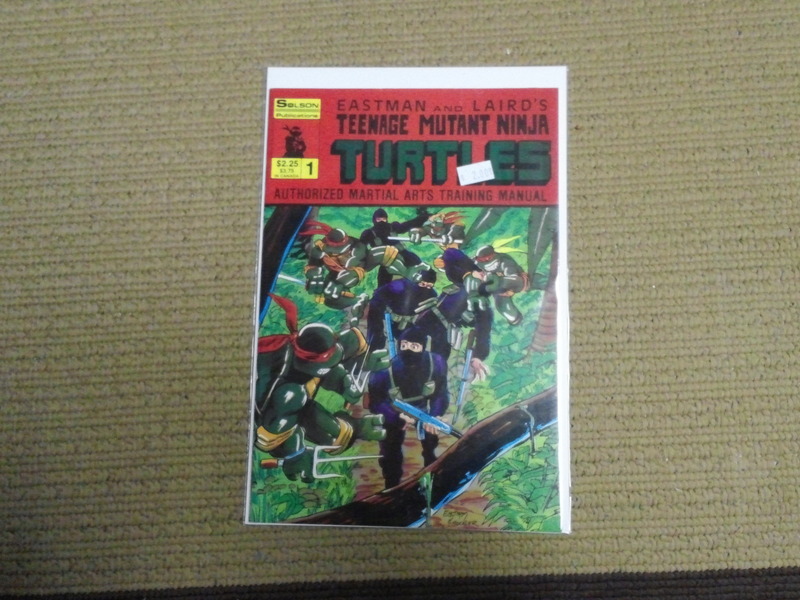 And the TMNT comics I picked up were $2.00 each. Not bad for the early stuff, as it’s my favorite incarnation of the Turtles. 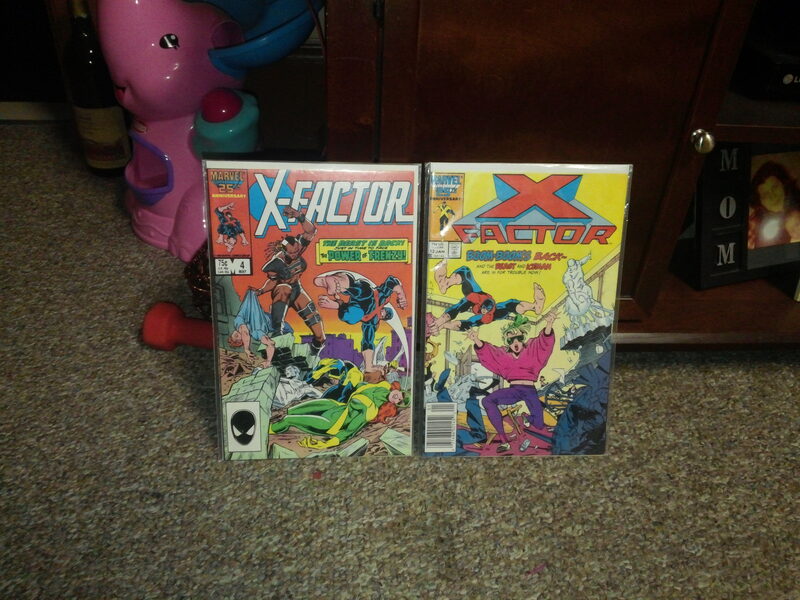 I was pretty sure that I didn’t have either issue(my collection is currently in storage), but at $2.00 each, there wasn’t too much risk. Take a look above, and tell me you don’t like Kevin Eastman’s work. 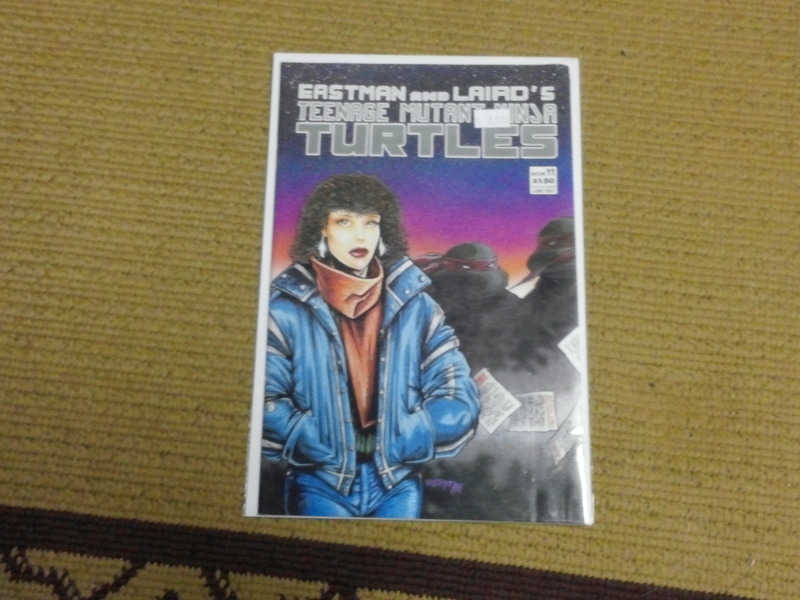 The artwork and stories are great, and have a lot more grit tot them, compared to the Turtles most everyone knows. Okay, so now we’re getting to the stuff most of you were waiting for. But you have to create a build, ya know? 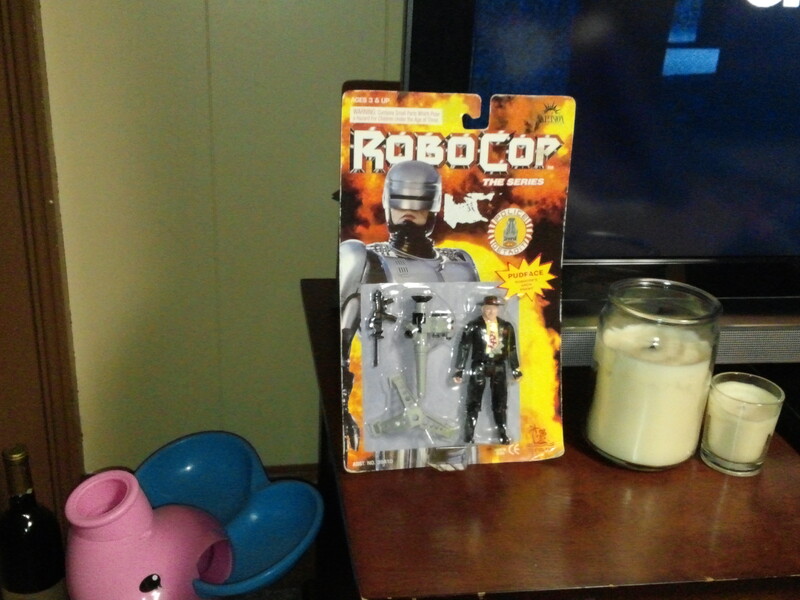 Now Pudface(great name), isn’t a major player in the Robocop universe, but at $3.00, it was enough to make me make the purchase. the card is rough, and I’m not really into the figure, but the graphics on the card are pretty awesome. Not a cornerstone of the collection, but a nice filler piece. Now, here’s an underrated show I hadn’t remembered until I actually saw the figures. While The Addams Family is a very well-known property, the short-lived cartoon series is not. It is of interest to me because there is something about the art style that I really like. And with Playmates at the helm for producing the action figures, we have a combination that works for me. 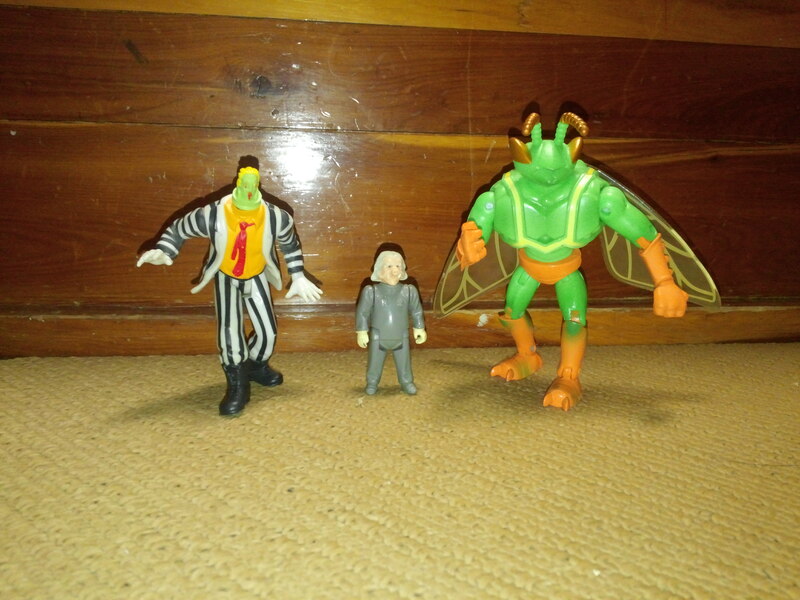 Uncle Fester ran me $5, but I never see these figures in the wild, and I didn’t even need to haggle about the price. My buddy Dean, ended up buying a carded Morticia, as well as a carded Gomez for $5each as well. Zak the Neutrino was actually my last purchase of the day. I had a little bit of cash left, and happened upon a box of figures in baggies at a dealer’s table that I had stopped by a few times earlier in the day. There were a handful of figures I had interest in, but at $5, this was the one that came home with me. I have never seen any of the Neutrino’s in the wild, and I figured he’d make a nice addition to my ever-growing TMNT collection. 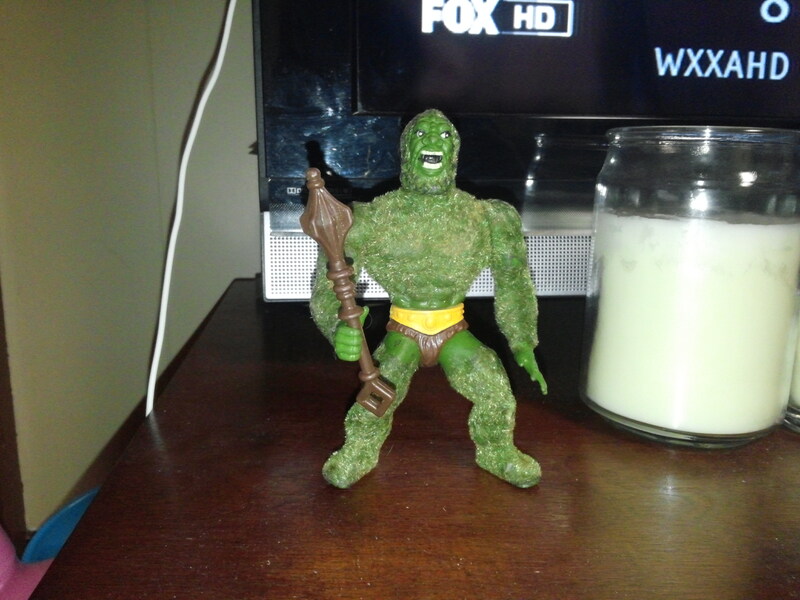 Moss Man is a MOTU figure that has been on my want list for a long time! I have never popped on buying one because the prices and the condition rarely added up. 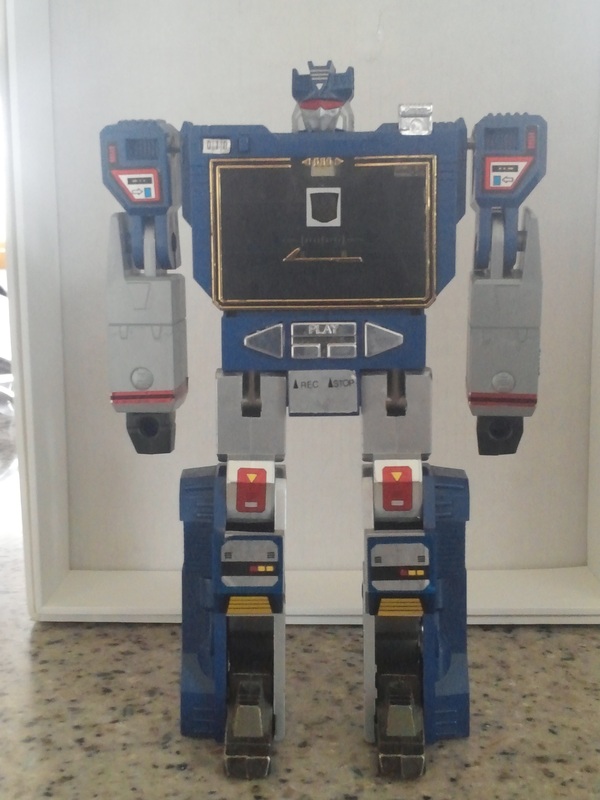 The example I now have in my possession, is in decent condition, stands on his own, and only ran me $7. Gotta love some of the gimmick figures we had back in the eighties! I have a short list of vintage Star Wars figures on my list(I’ll buy any though, if they’re cheap enough), but most of the ones on that list can be found in the Cantina. Bounty Hunters and members of Sy Snootles band are on that list. 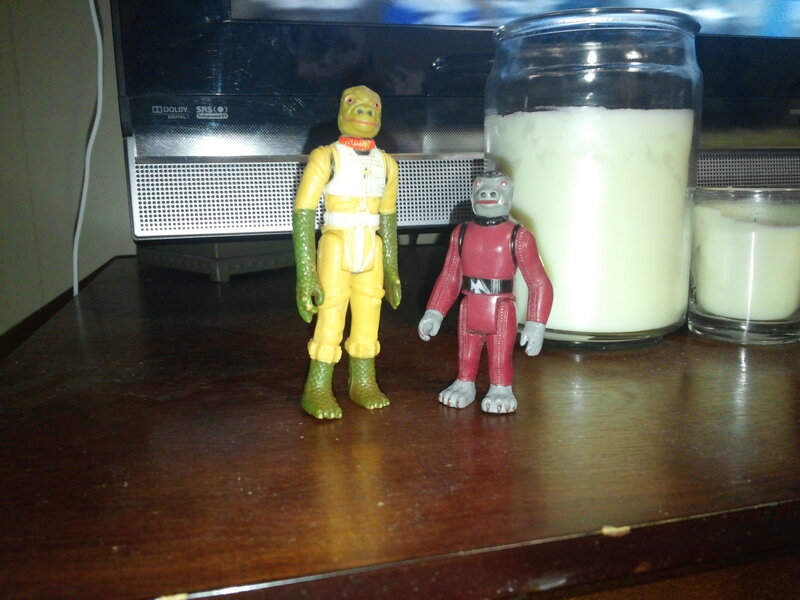 Snaggletooth and Bossk were had for $2 each, and I had no problem with that. I got them from the same dealer I got Moss Man from, and found them before I found Moss Man. I swear, this guy had some of the best prices at the show, and was willing to work on the prices as well. And lastly, we have my favorite purchase of the show. 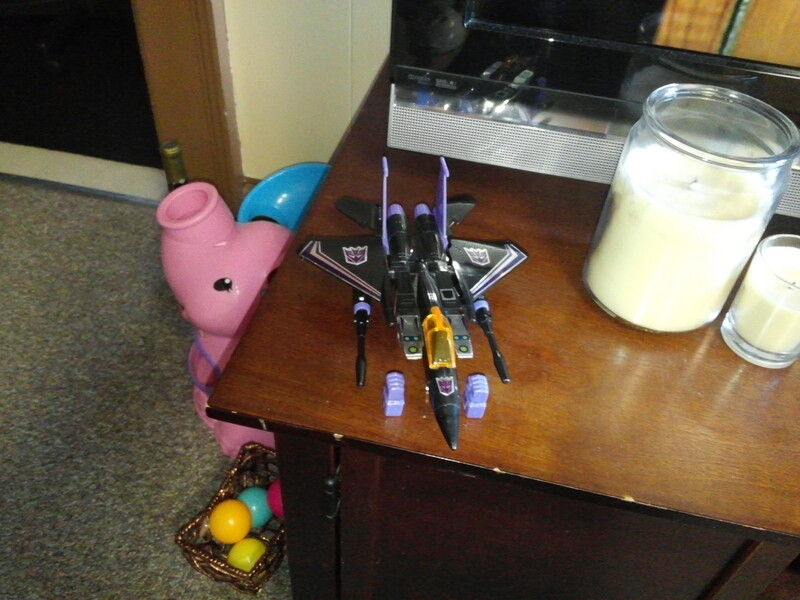 Like Red Alert, Skywarp is a reissue, and is also missing some missiles. And just like Red Alert, is flawless otherwise. Out of the original 3 seekers, Skywarp is my favorite. I still want the original, but the reissue is a pretty good figure in it’s own right, and had all of the easily lost parts. 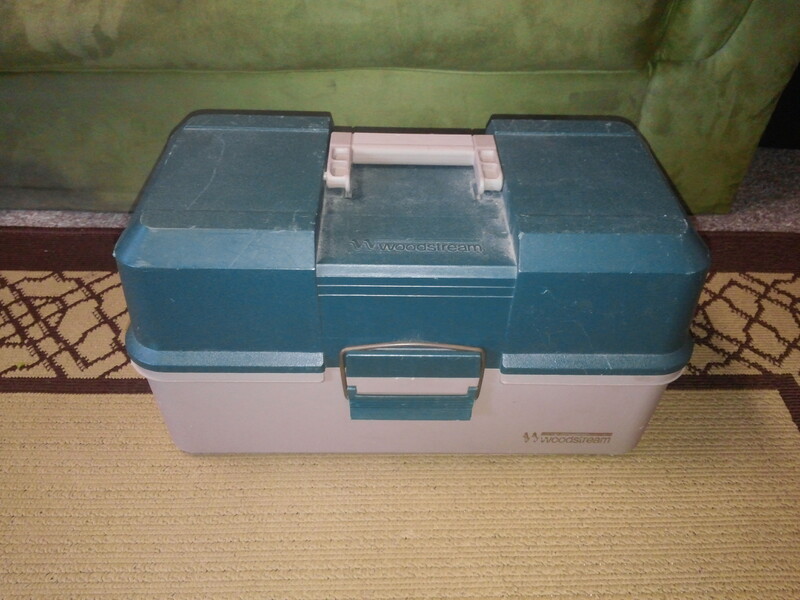 My tackle box is your normal everyday tackle box, except that I do not use it for storing fishing gear. While I do like to occasionally go fishing, I do not have any of my own tackle, or pole for that matter. You see, I use this tackle box to store many great things. Today, we will see some of these fascinating items. This little chili pepper bandito comes from the once popular “Homies” line. 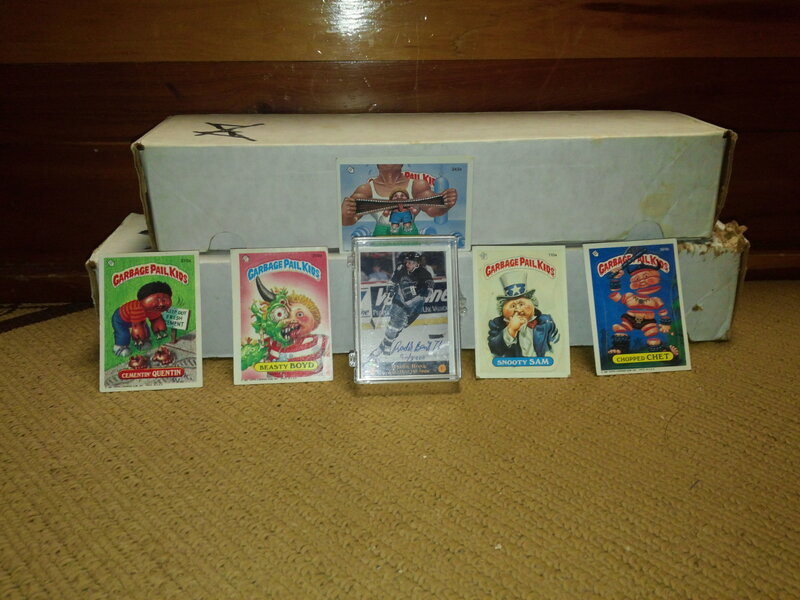 I will admit that there was a time when I spent a lot of quarters collecting these. I have since gotten rid of many of them, but still have about 5 that I really like, and this guy is a the top of that small list. 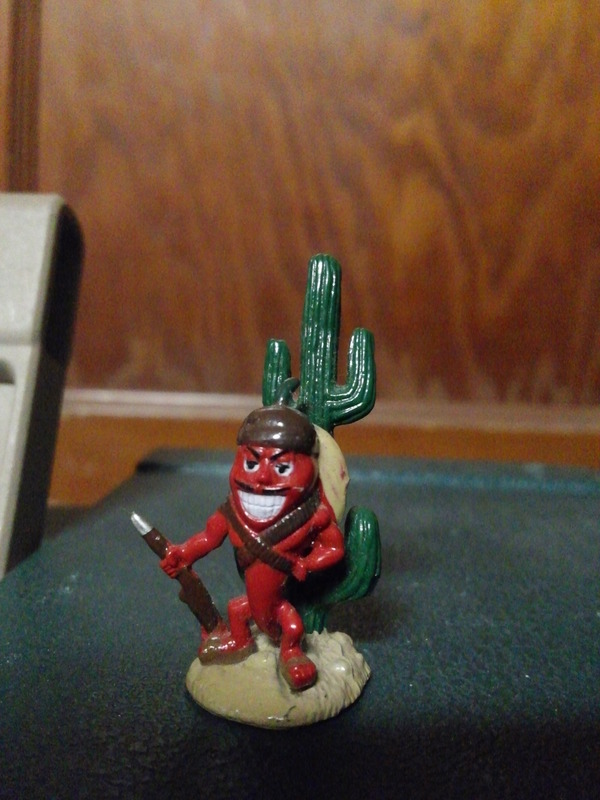 Not only is it an anthropomorphic chili pepper with a shotgun, he also has his own built in display of sand and a cactus. 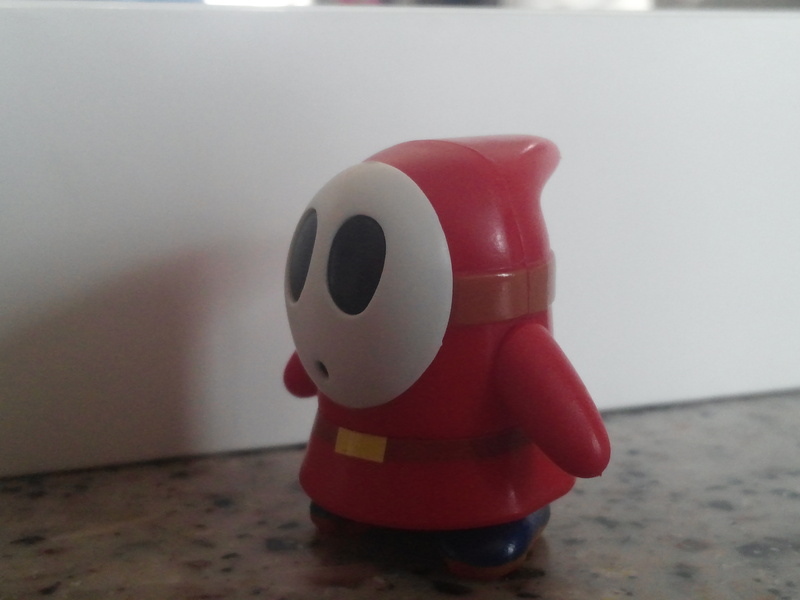 I can’t believe that I plopped down 50 cents for each of the other figures I had, but I have no regrets when it comes to this one. Now, I know it may seem weird to see Pokémon on my blog here, but I have no problem with stating that I do like the early years of the franchise. I am familiar with about the first 300 or so that came out, and I was really into the Game Boy games up until the Gold and Silver versions. 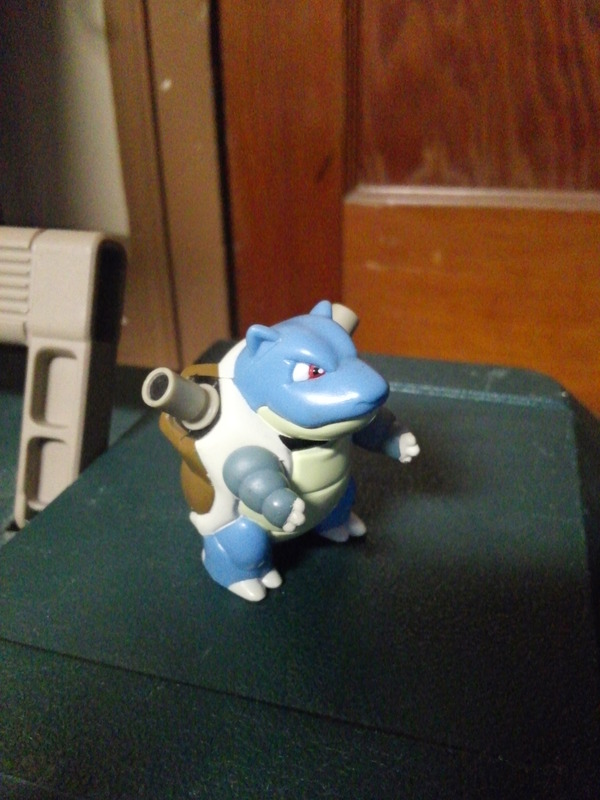 Blastoise would have to be my favorite of them all. A huge tortoise with water cannons protruding from his shell just screams awesome! This is a burger King toy from around 2000 or so. I can’t remember exactly how it came into my possession, but out of the ones I did buy from BK this was not one of them. I have had it since around that time, but there was at least one previous owner. This token should need no explanation as to why I am highlighting it. First off, I has Pac-Man on it, and secondly it represents an era that has a lot of meaning to many, myself included. While arcades aren’t completely extinct, most of the ones in business these days, just don’t capture the same feeling. Many of them are filled with ticket/prize winning games, and you’re lucky if you can find 1 or 2 classic games in the place. 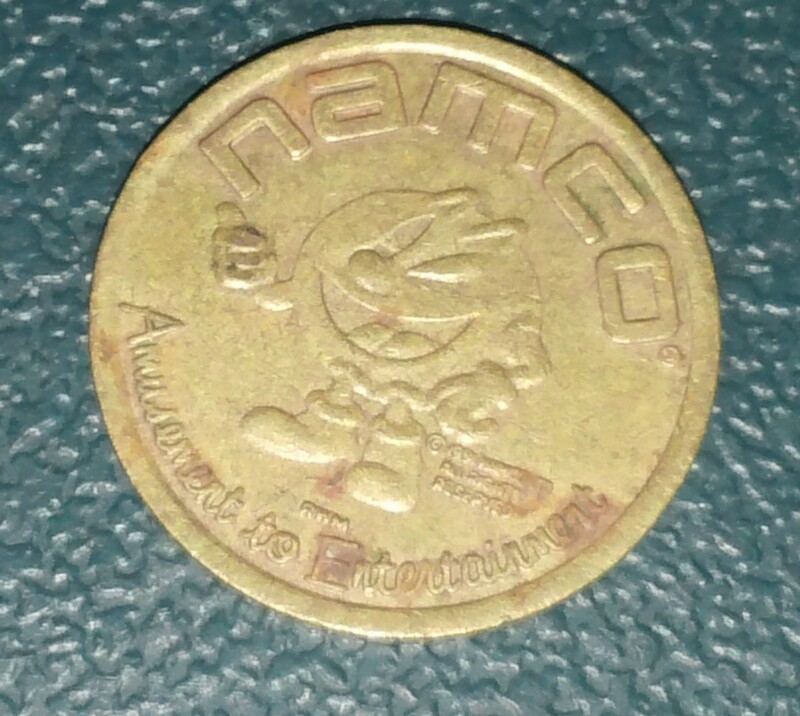 I don’t know what arcade this particular token came from. 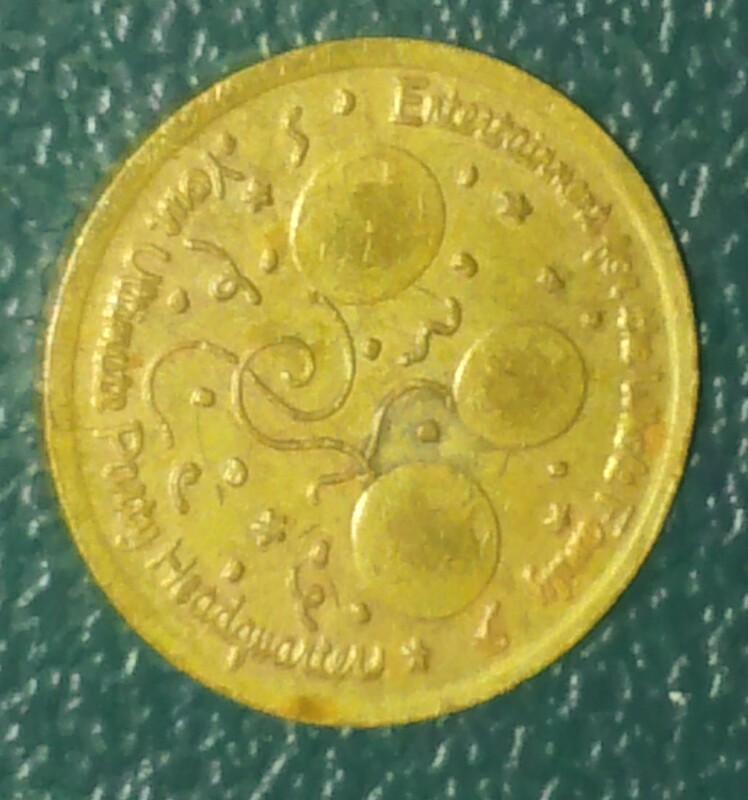 My wife brought it home with some foreign coins that were with her change, and I quickly claimed it. 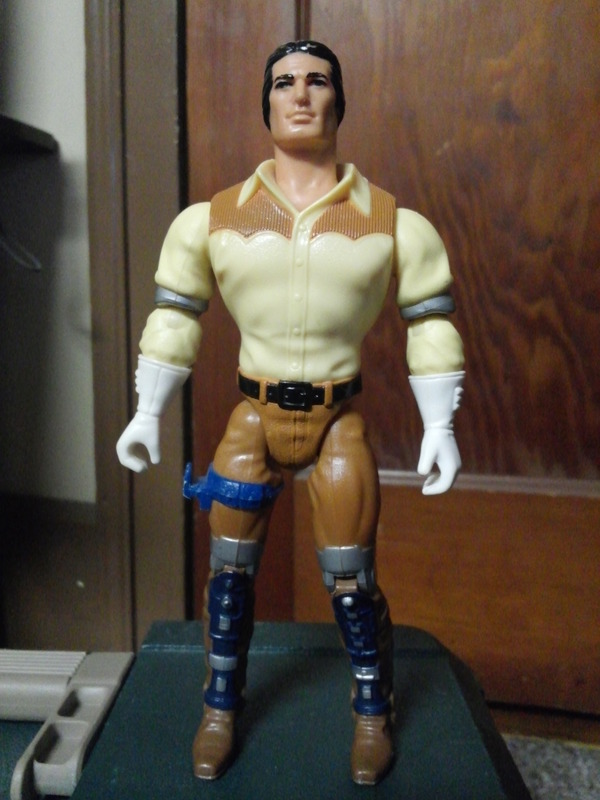 Marshall Bravestarr. 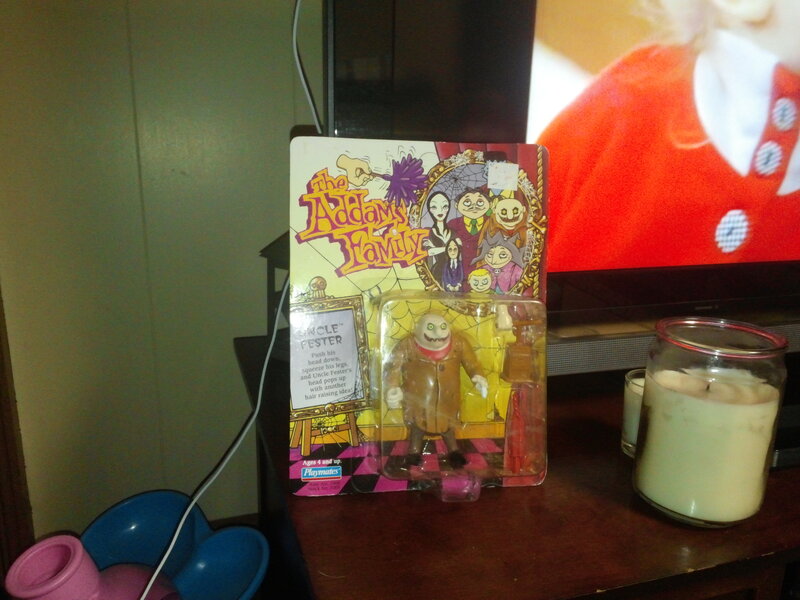 This was a decent cartoon and toy line. The idea was cool, and the toys were a bigger the many of the action figures of the 80s. I would like to get his cowboy hat to give him the right look, but I don’t think I’ve ever seen the hat by itself on the secondary market. Most, if not all of the figures came with Kerium, which is another accessory that I would like to get my hands on. And a shout-out to Anthony for getting this over to me in a trade we did a while back. these are not your everyday Teenage Mutant Ninja Turtles action figures. 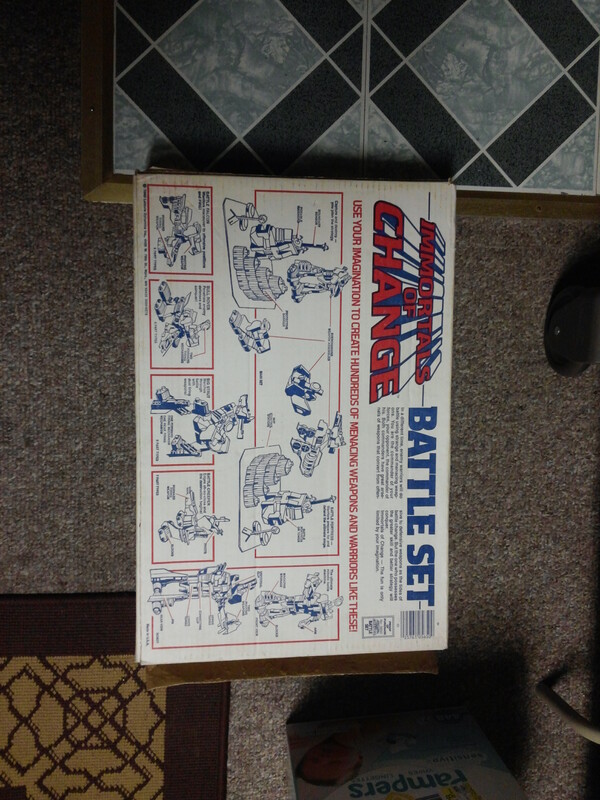 What you see in the above photo, are miniatures, which I believe came in Mighty Max scale playsets. 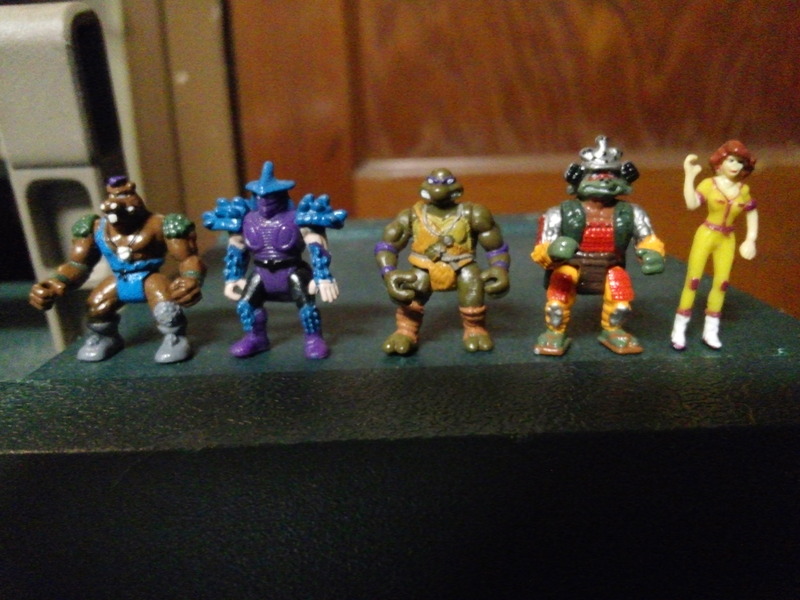 they came into my possession in a TMNT lot I purchased on Ebay some years back. I also have a few of the miniature vehicles as well, and I must say that for their size, they have some pretty decent detail. The above figure is from the Star Wars Galactic Heroes line, and I did not know this until I did some research for this post. 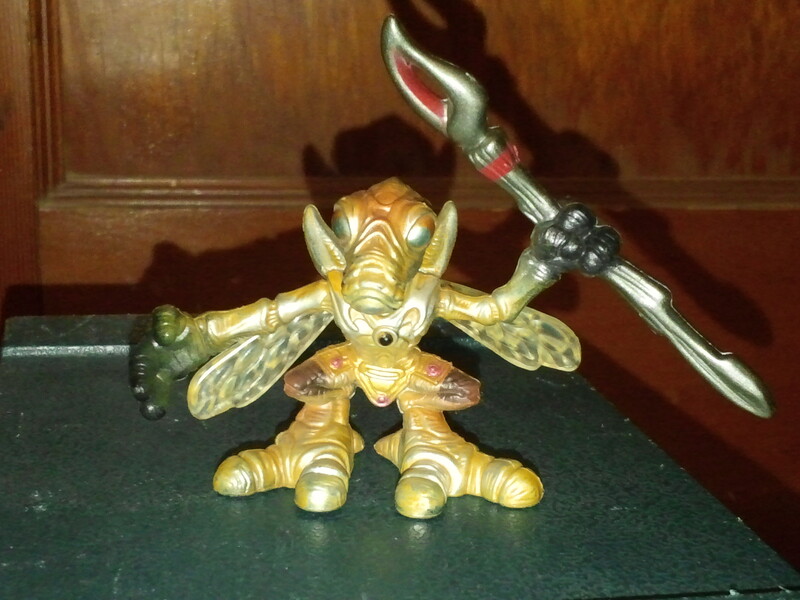 It was given to me years ago with a lot of other toys, and I hung onto it because I thought it was an awesome looking bug man. This is a Geonosian Warrior from the Battle of Geonosis set. This would be from Episode II, which I haven’t seen since it was in theatres, which would explain why I had no clue to what it was. So while I thought it was a cool looking figure, having it be from Star Wars is just a bonus. And lastly, we have this old California Raisin Fan Club membership form. This came with a Raisin figure that I believe came as a premium in boxes of Kellogg’s Raisin Bran back in 1989. I found the sealed baggie with the Raisin(playing up right bass), and this form at a second hand shop for 5o cents. I know there are people who would think I’m crazy for opening it, but how else was I supposed to see this form in it’s entirety, or display the Raisin on my shelf without opening it. The figure itself is a little bigger than the others I have seen(and have), and I don’t think it was available through any other means. There’s lots of other cool things in the tackle box, but I wanted to highlight a few of the things I thought needed a bit of showcasing, but didn’t justify individual posts. Last weekend I went to a toy show, and I will get to posting my haul, most likely, in my next post. But if you want to see a preview of almost everything I scored, check me out on Instagram(jasonvorhee91). I post very often on Instagram, as it’s very easy and not very time-consuming. It’s a fun alternative, and I’ve met a lot of very cool, like-minded individuals since I’ve joined. So. Another weekend, another post. The base material for this post is just about the same as the last post, but the end result is different. 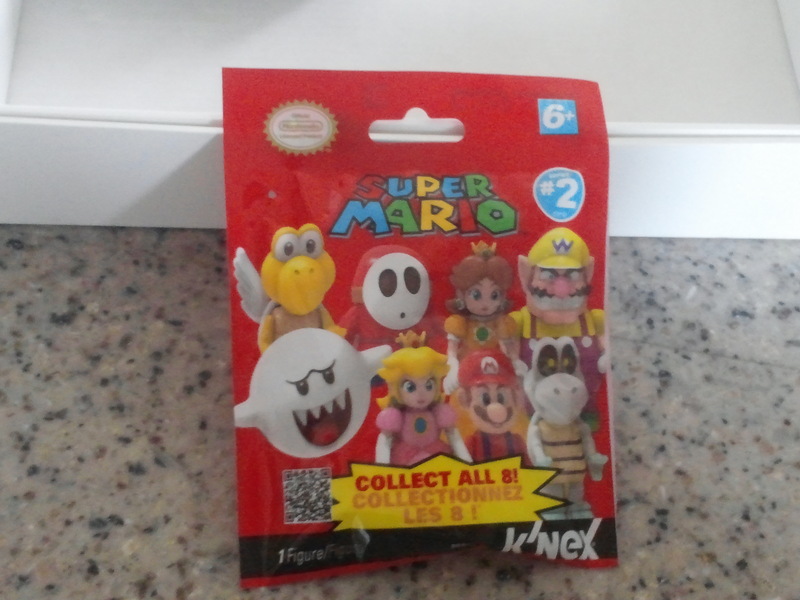 So we’ll start with the first of 2, Super Mario blind bag figure I had left to open. I had looked online for the codes for each of the figures I wanted, as I didn’t want to pay for figures I wasn’t really interested in. I’m sure I would’ve been fine with the other figures, but there were 4 specific ones I was interested in, and I also would’ve been disappointed if I ended up with doubles. The packaging is the same, but the contents are not. 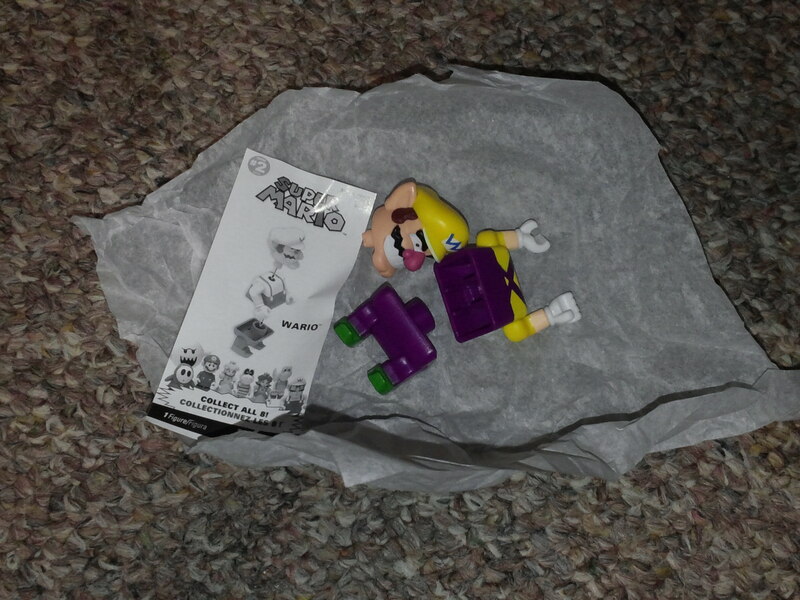 Even if you couldn’t see the face, you probably could’ve guessed that it was Wario based on the color scheme alone. 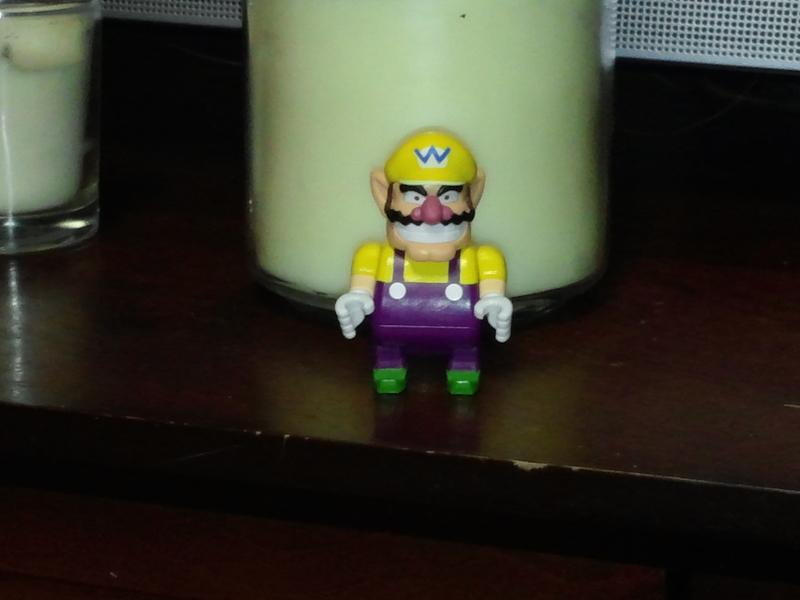 Not at all complicated to put together, and nothing really interesting about the figure, other than that it’s Wario. 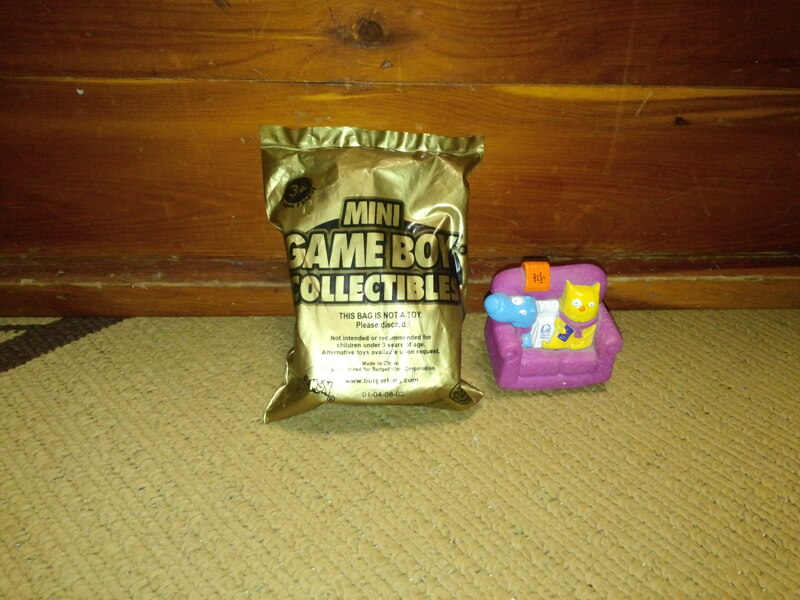 I don’t have a ton of Nintendo related figures, so the chance to own a Wario in this scale is pretty cool. 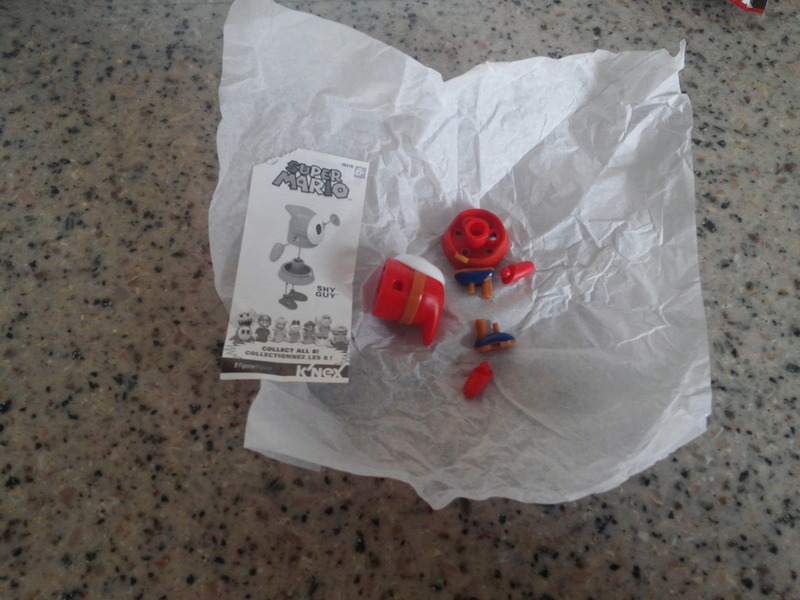 On to blind bag number 2. The same on the outside, as always. But again, the contents is where the difference lies. This one may be a little harder to figure out than the previous 3, if your a novice, or a newer generation of gamer. But the face is what gives the figure away. This figure also has the more pieces than the others that I’ve reviewed. 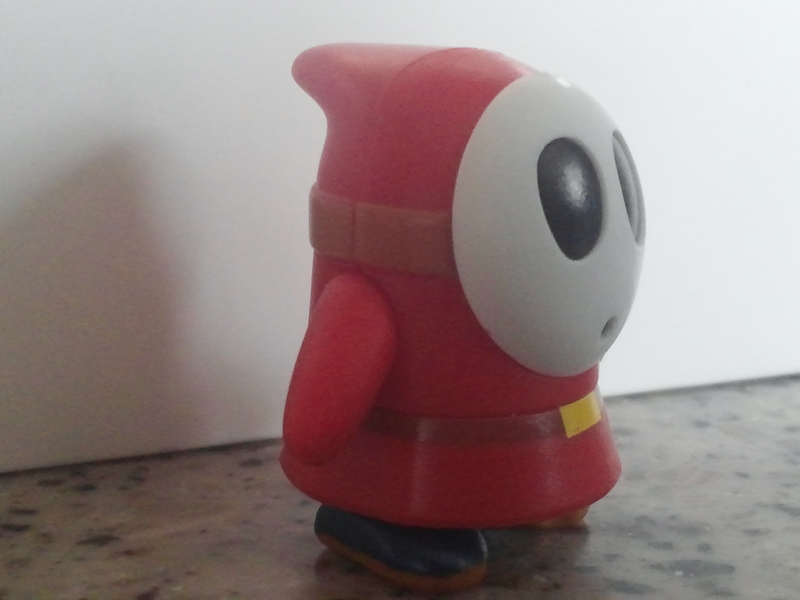 It’s a Shy Guy. 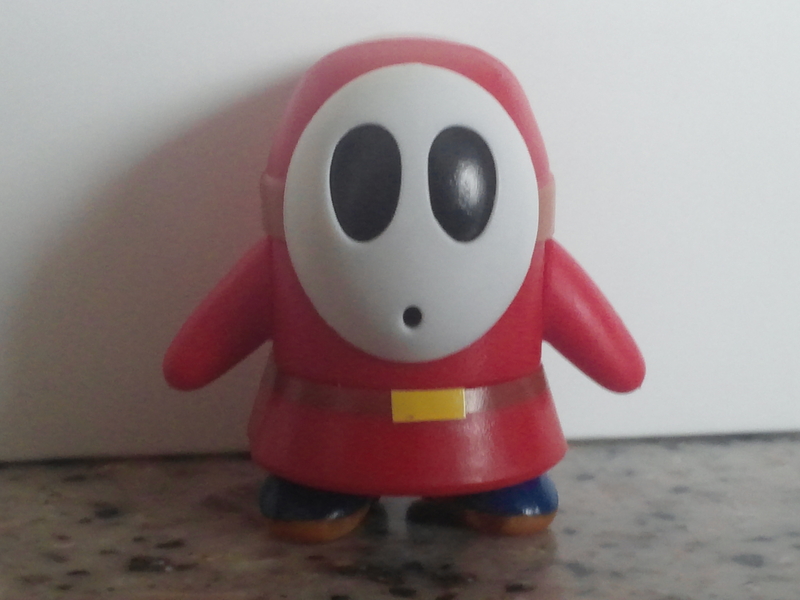 I absolutely had to have this figure, as Super Mario Bros. 2 is one of my favorite games. One of the reasons I like the game so much, is the variety of great characters throughout the game. There’s not much in the realm of posability, as is the case with most of these figures. 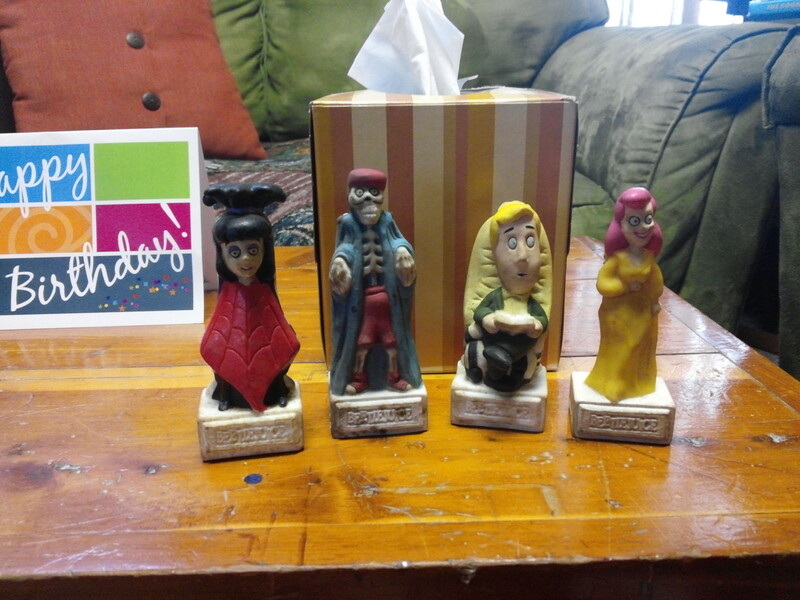 But the molds are spot-on and the quality is pretty good as well. And lastly is the major figure that I was able to recently knock off of my want list. 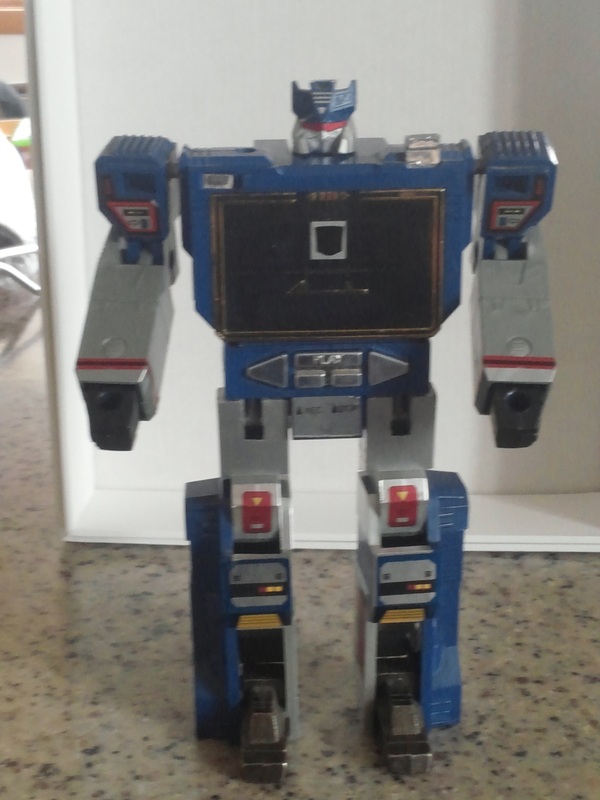 G1 Soundwave has basically been on my since I was 6 years old. I always thought he was one of the cooler looking characters, and he also has one of the cooler sounding voices of any villain ever. 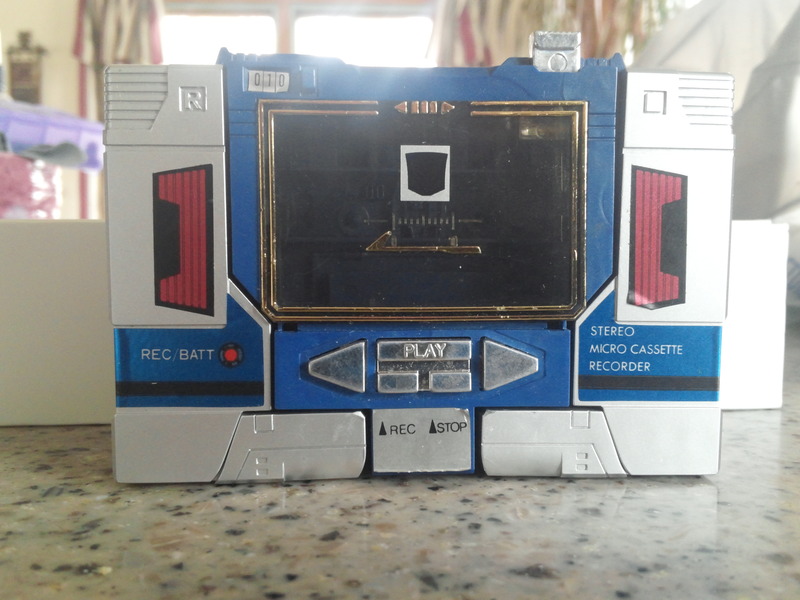 I understand why he has had a facelift in regards to his alt mode over the years, but this will always be my definitive version of Soundwave. Most kids these days probably wouldn’t even know what this is supposed to be. But back in the day, it was just too awesome! The ability to have little minions in the shape of cassettes stored in his chest was the icing on the cake. 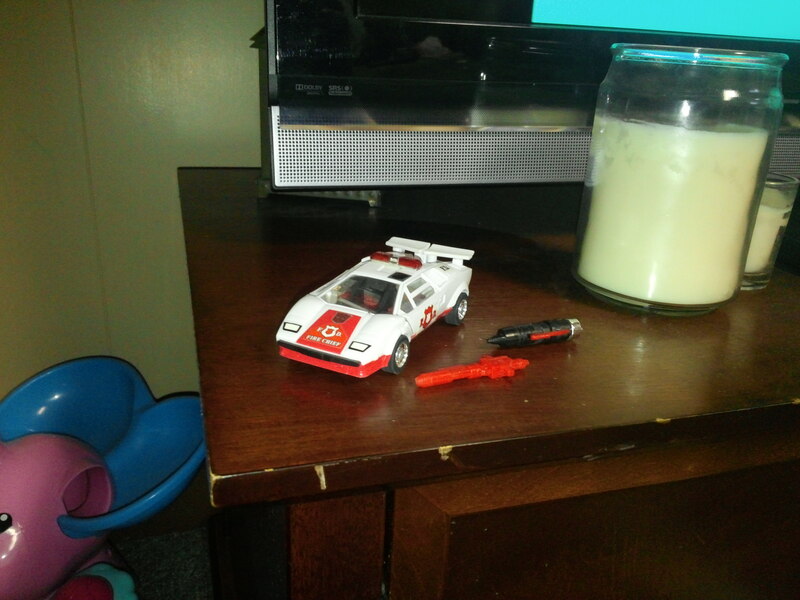 Cosmetically, this one looks to be in pretty good shape, and it appears to have all of the original decals. Some of the joints are a little loose, but he’s able to stand on his own, and will look awesome on a shelf next to the others. The cover with the clip was included, but it did not include either of the weapons(batteries). I have priced those out, and the should run me about 10 dollars apiece. The deack needs a little help to open, but it does open and it stays shut as well. 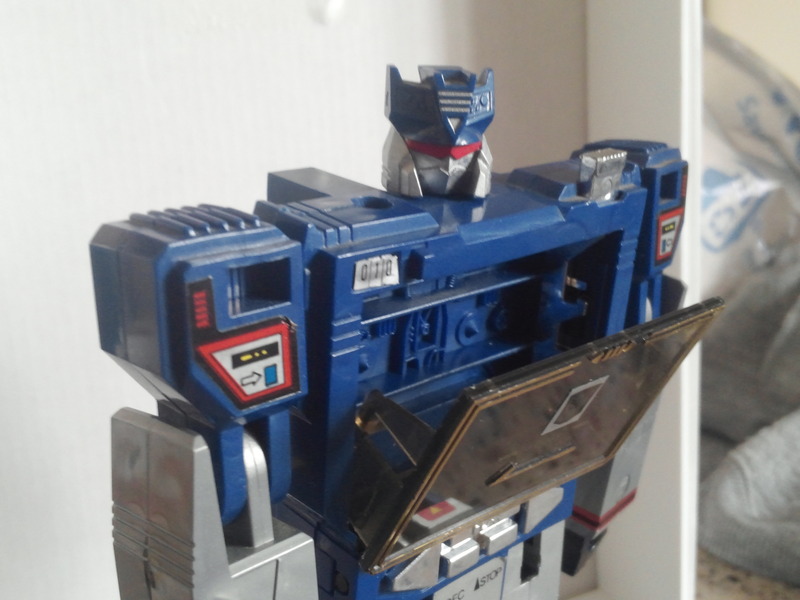 Including shipping, I paid just shy of 40 bucks for this guy, which I thought was a pretty decent deal. Considering how long I’ve wanted this figure, and how long I’ve been trying to find a decent deal on one in recent years, I’d say that I did pretty well.